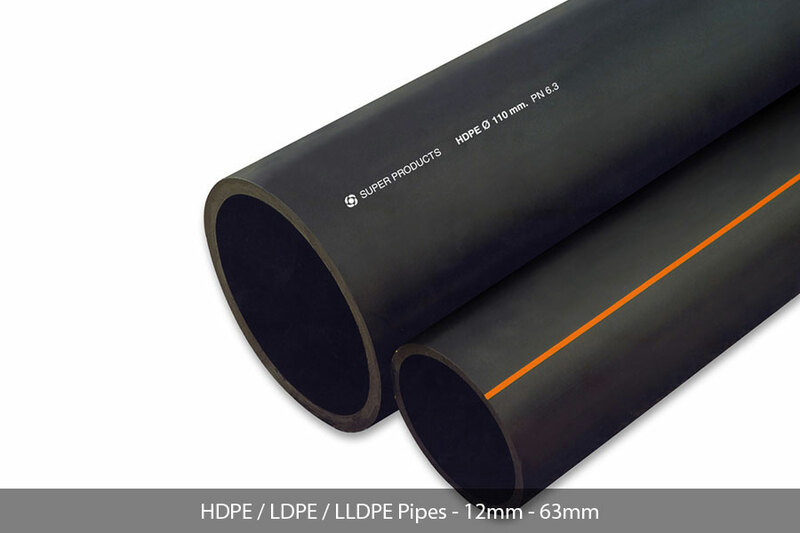 We are specialized in high quality “Low-density polyethylene” (LDPE) pipes which are made of virgin raw materials (not recycled or scrapped materials). 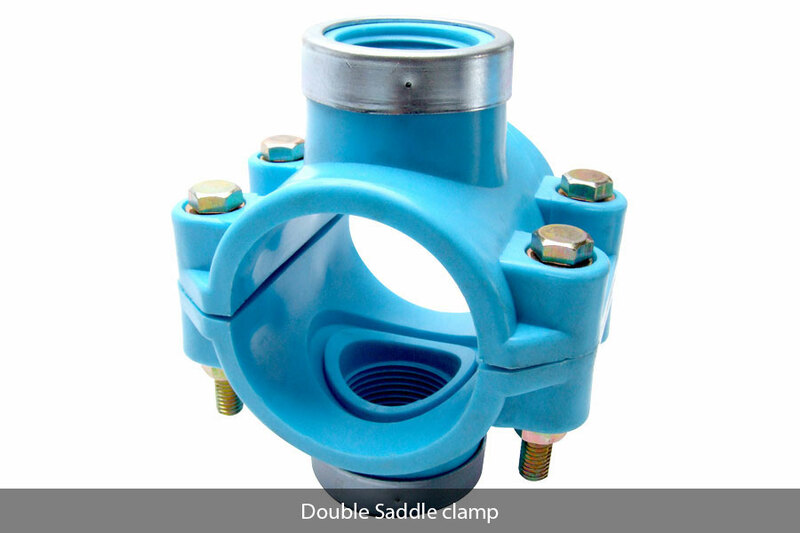 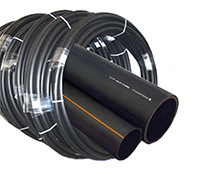 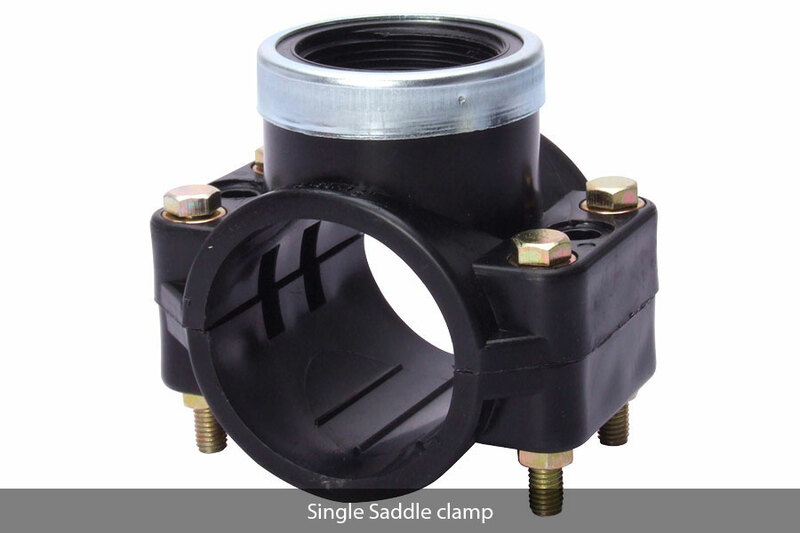 Our pipes are very durable and can be used in a wide range of irrigation systems and agricultural piping. 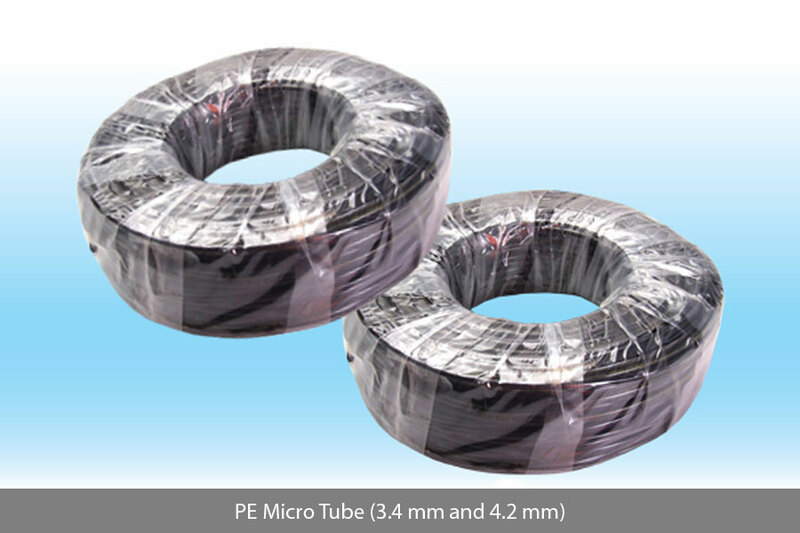 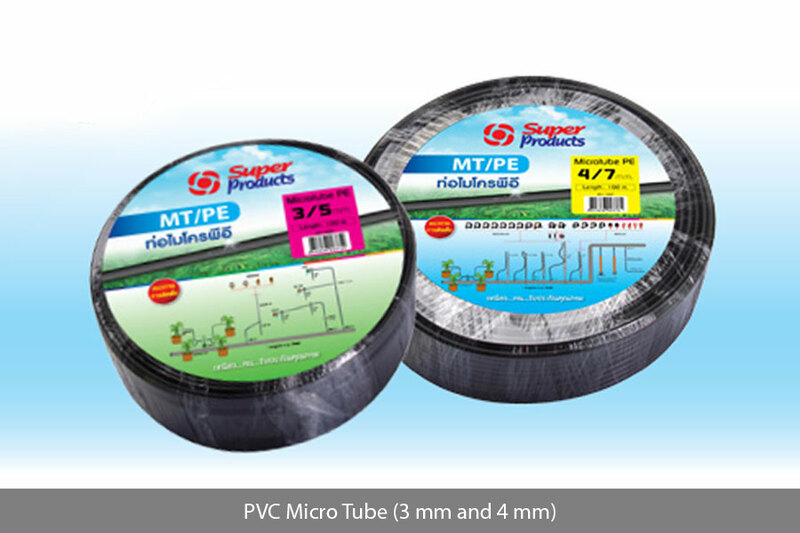 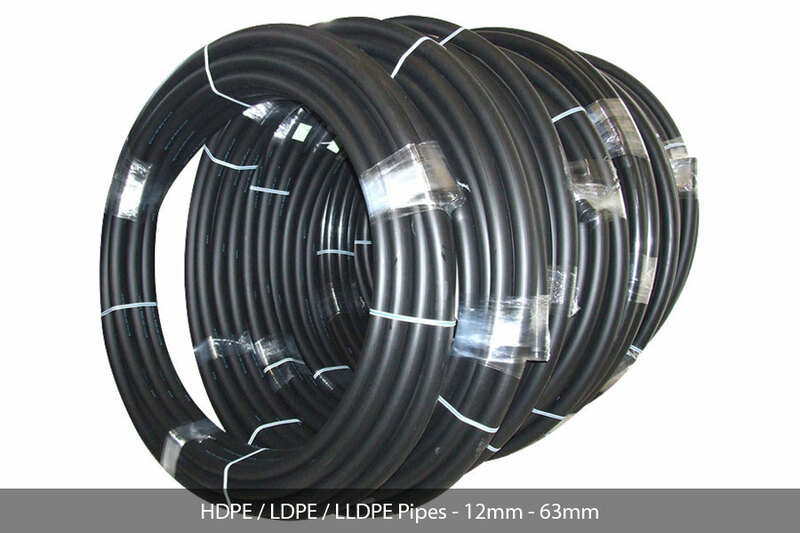 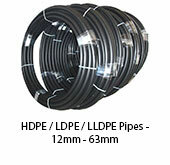 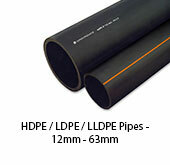 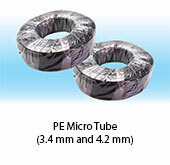 We also have other pipes such as HDPE pipes and Micro Tubes.(PE/PVC). 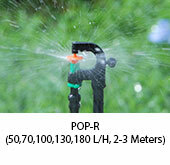 Water sprinkles evenly in a circular pattern. 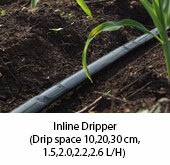 Suitable for most crops and can be used in gardens as well. 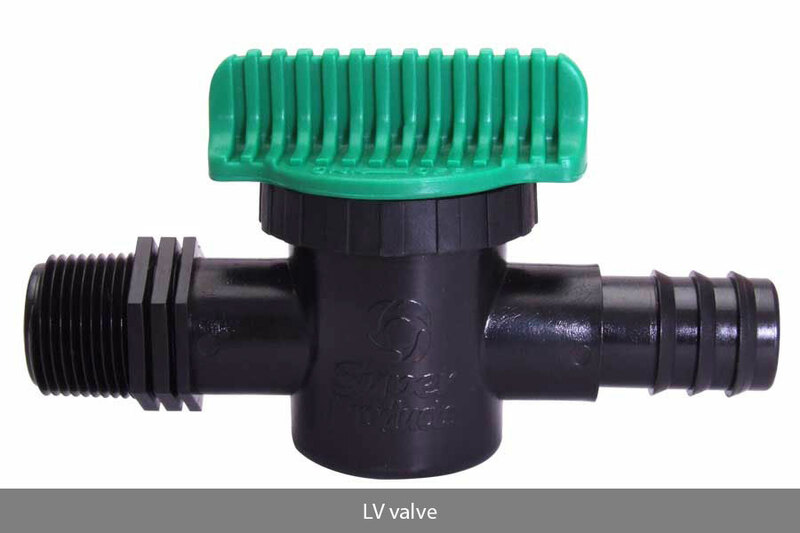 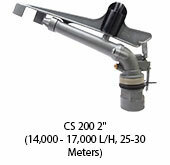 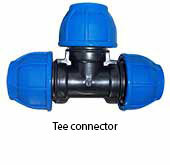 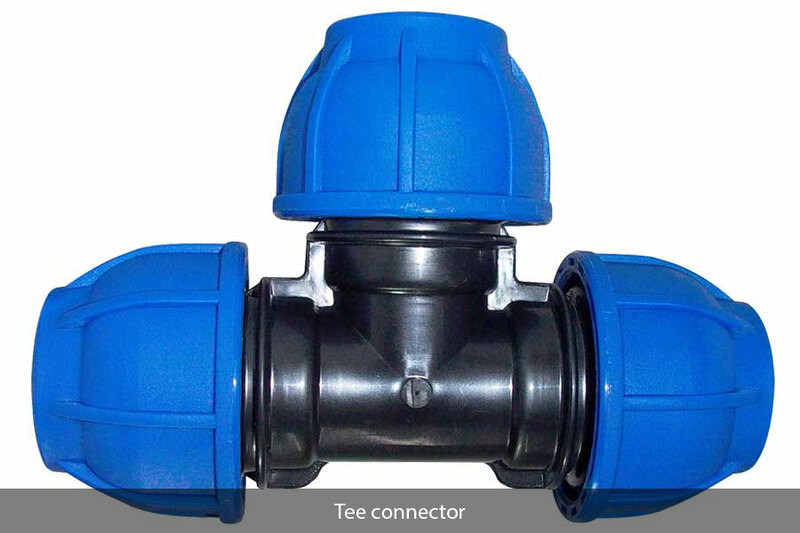 Our vast range supports numerous water patterns and flow rates. 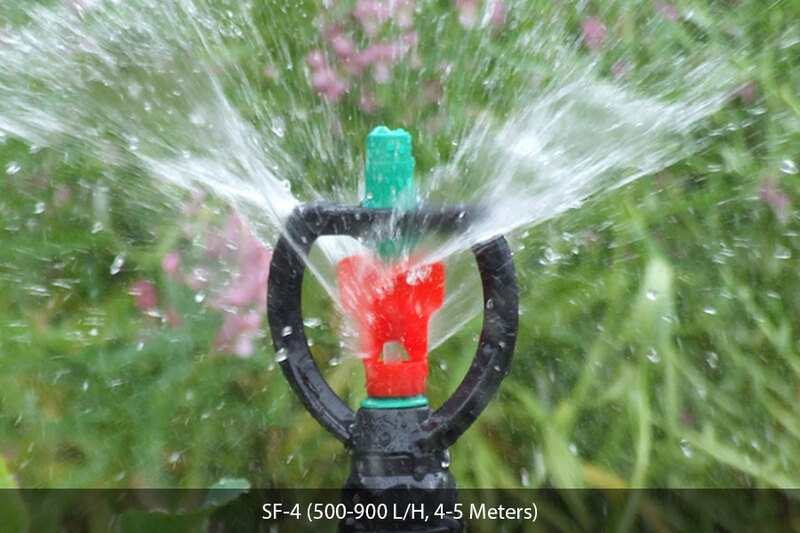 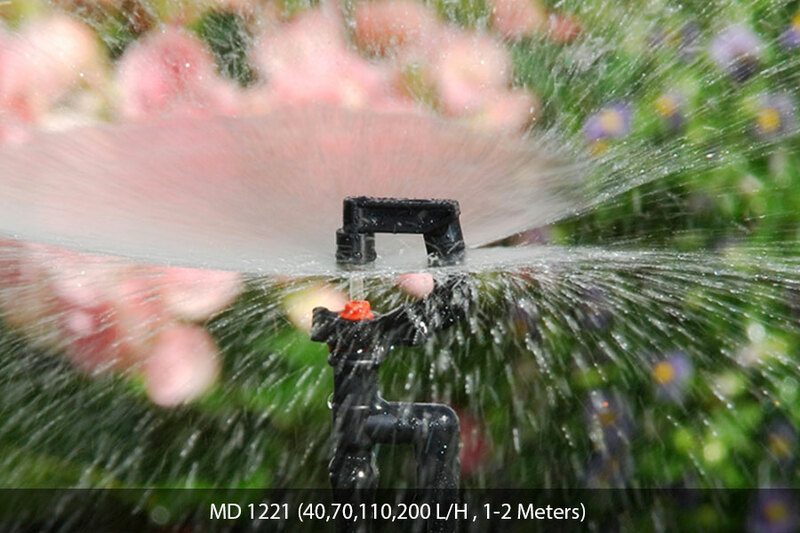 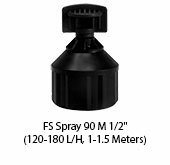 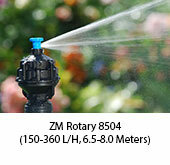 Mini sprinklers are ideal for flower bed, foliage borders and where a smaller radius of water is required. 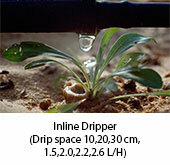 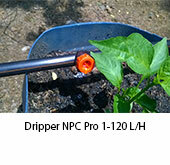 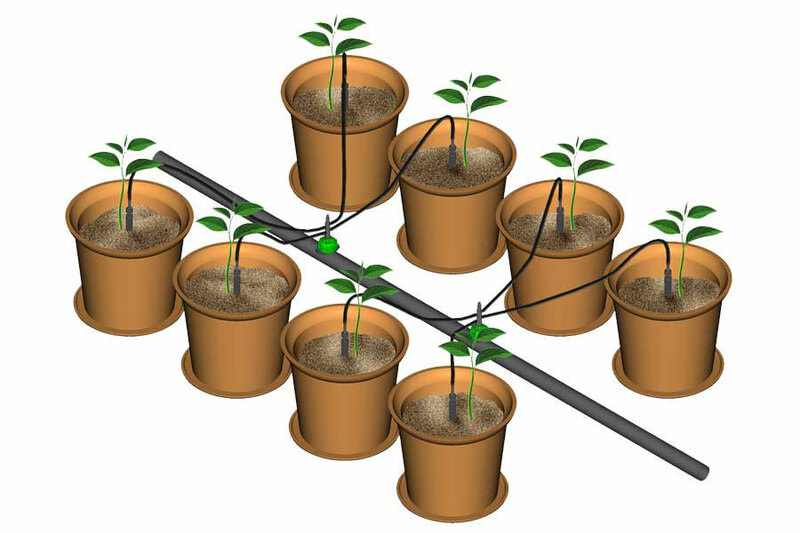 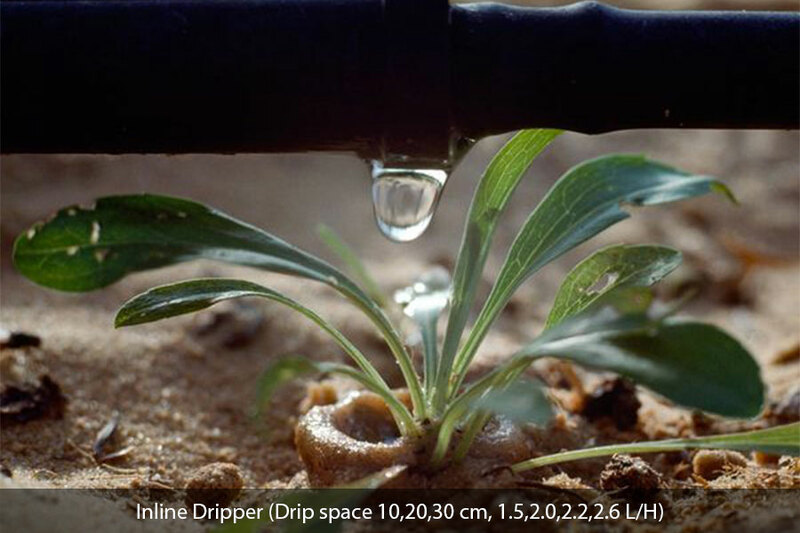 Water supply to plant is controlled and supplied directly to the root base as droplets. 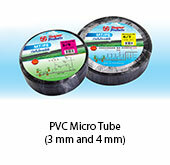 They are suitable for large plants and crops in loam, clay or humus soil conditions. 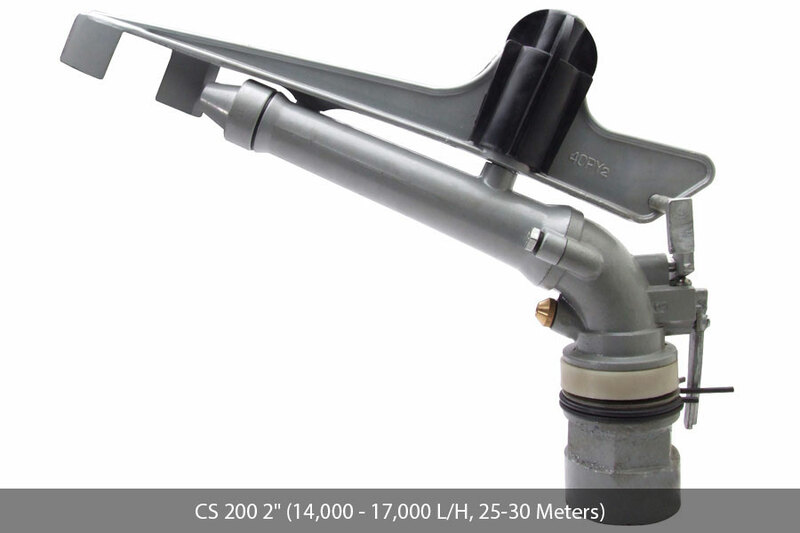 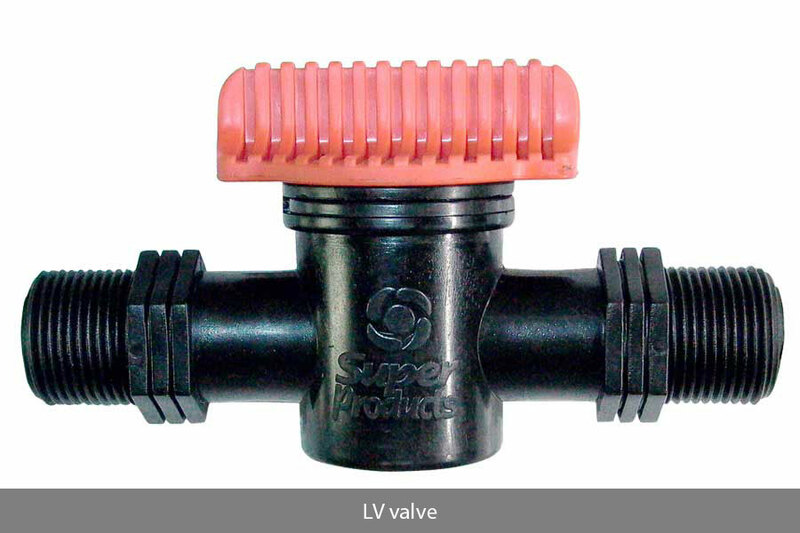 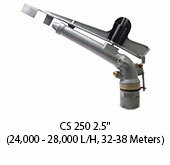 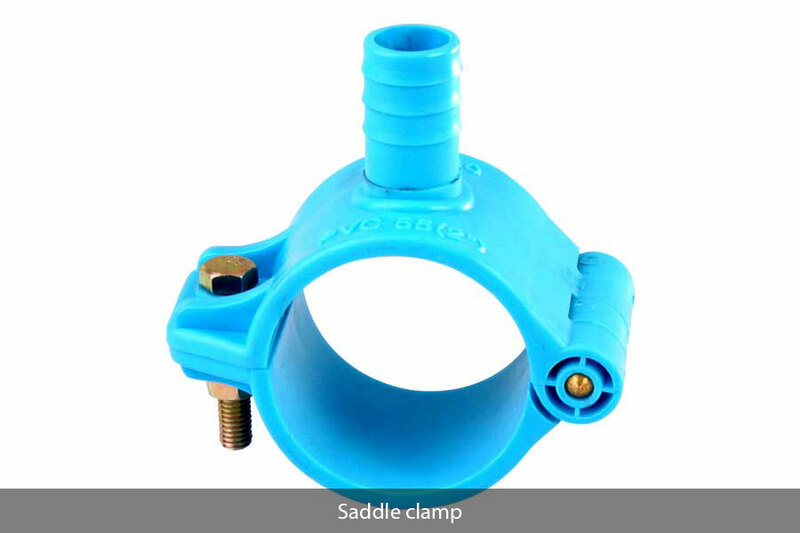 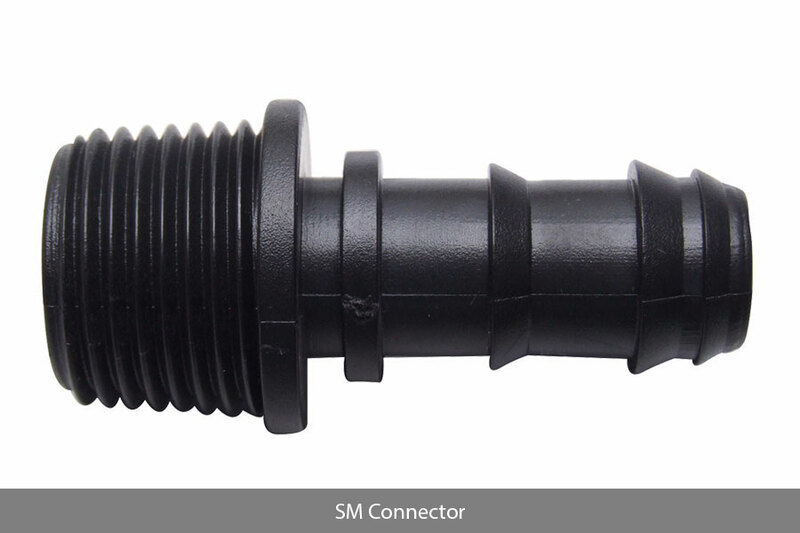 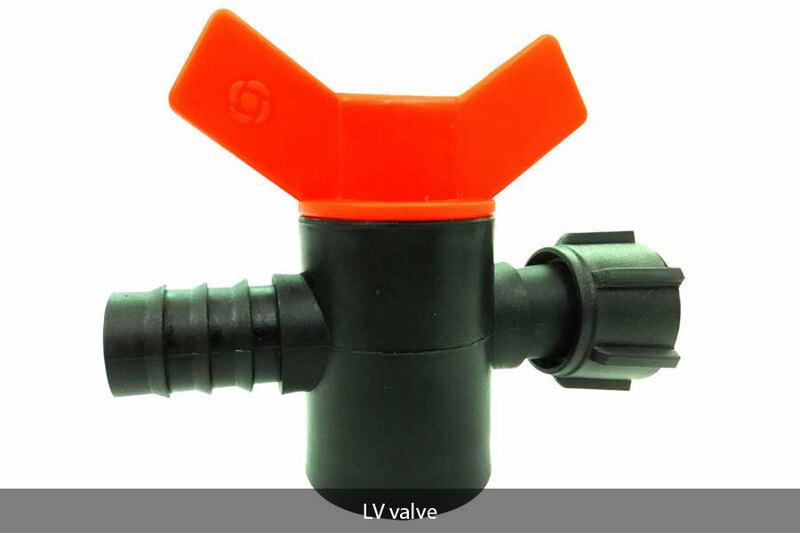 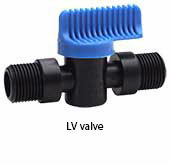 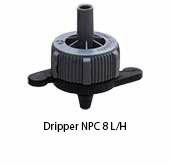 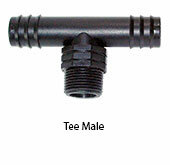 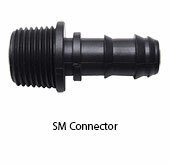 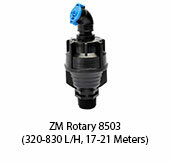 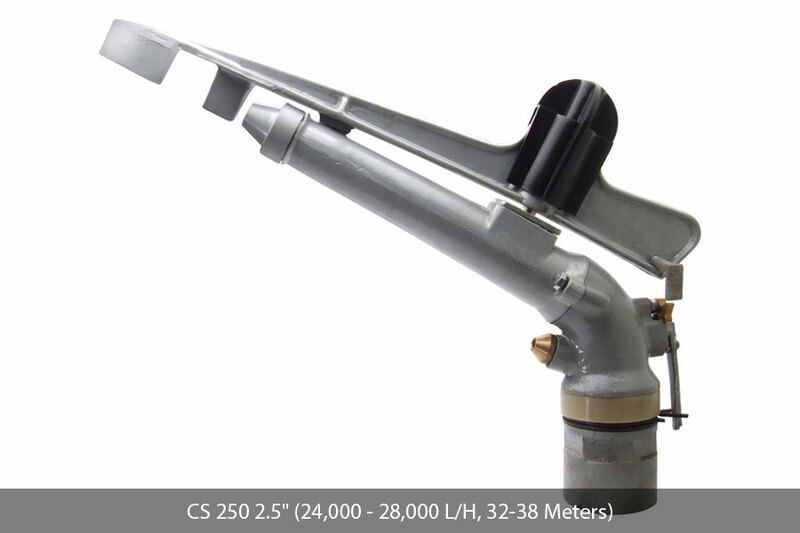 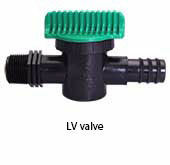 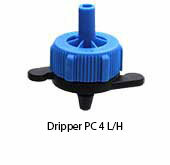 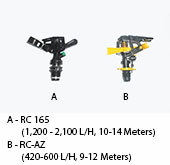 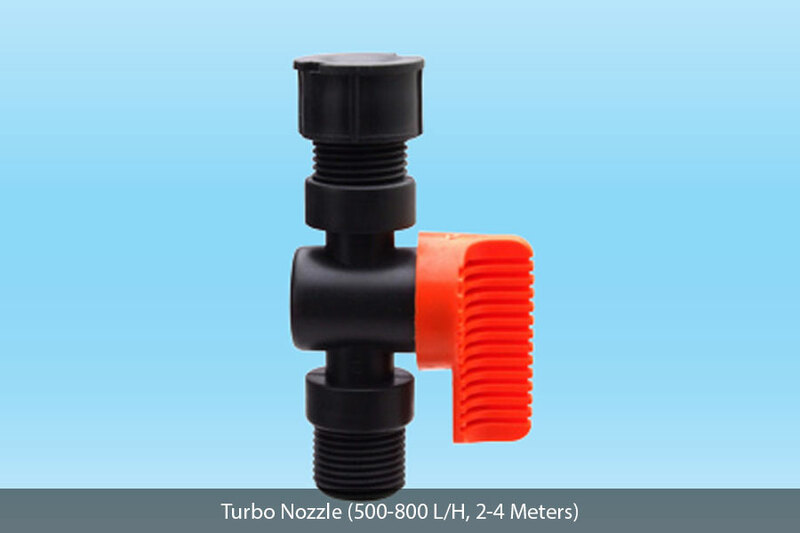 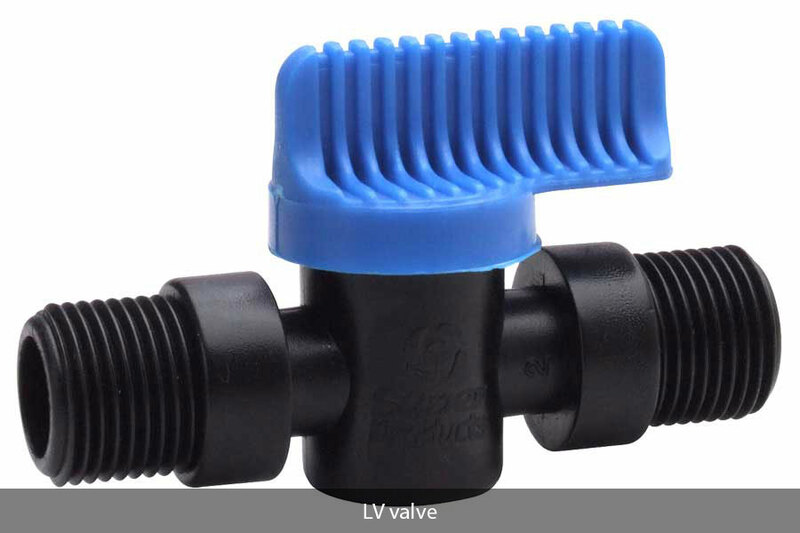 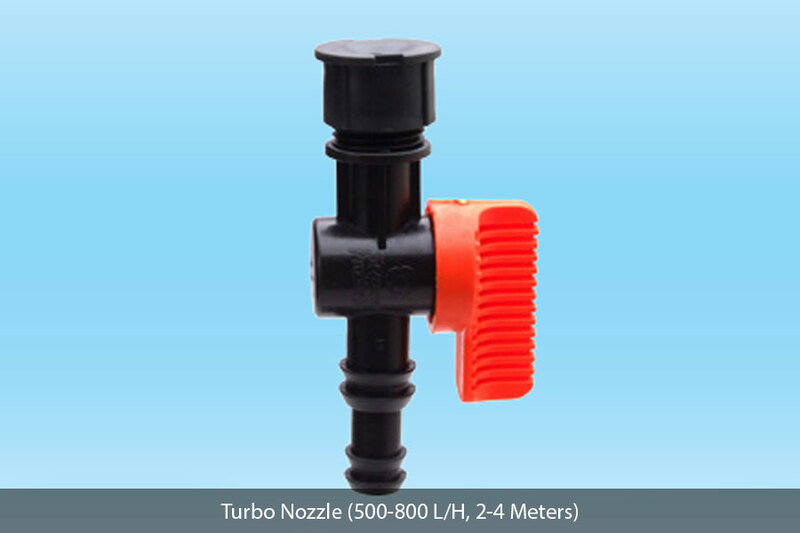 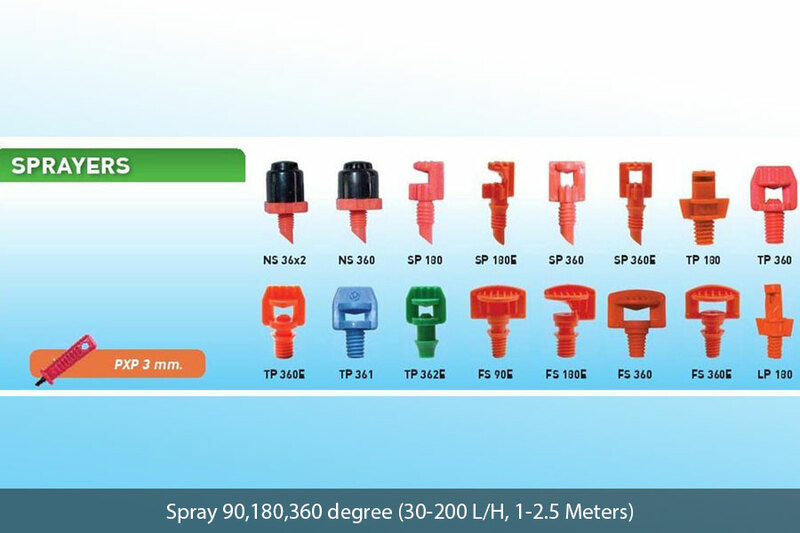 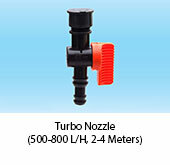 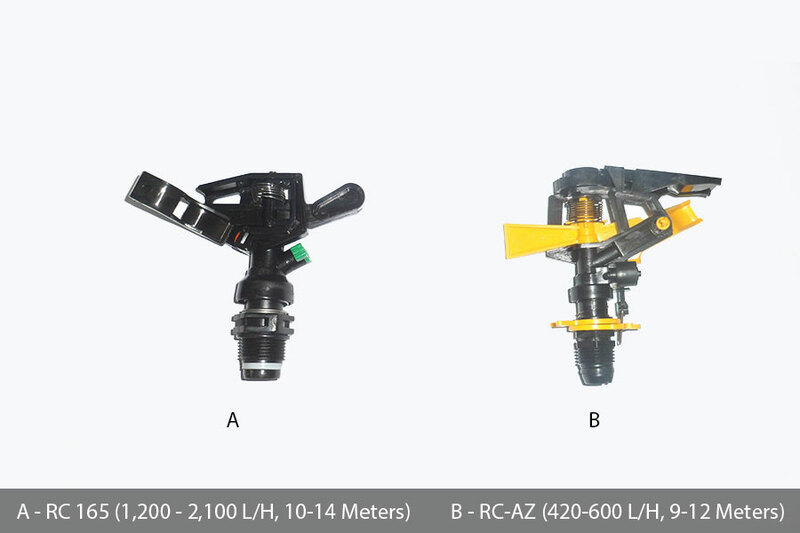 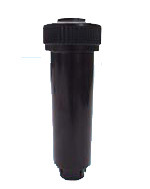 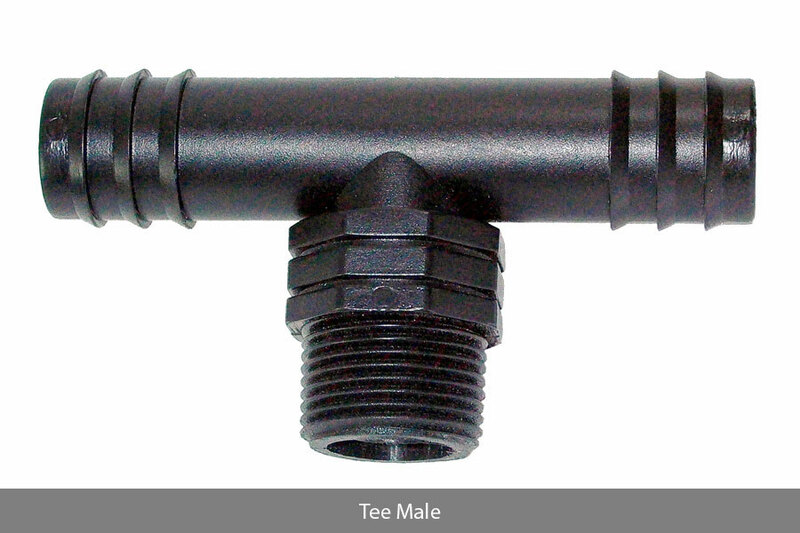 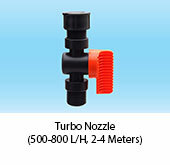 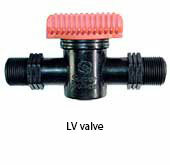 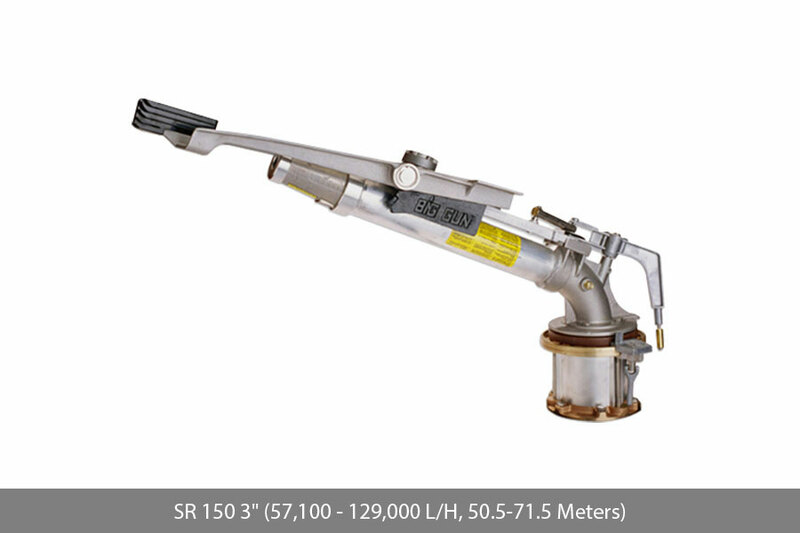 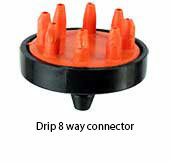 Select from our range of drip nozzles as per your Flow Rate requirement. 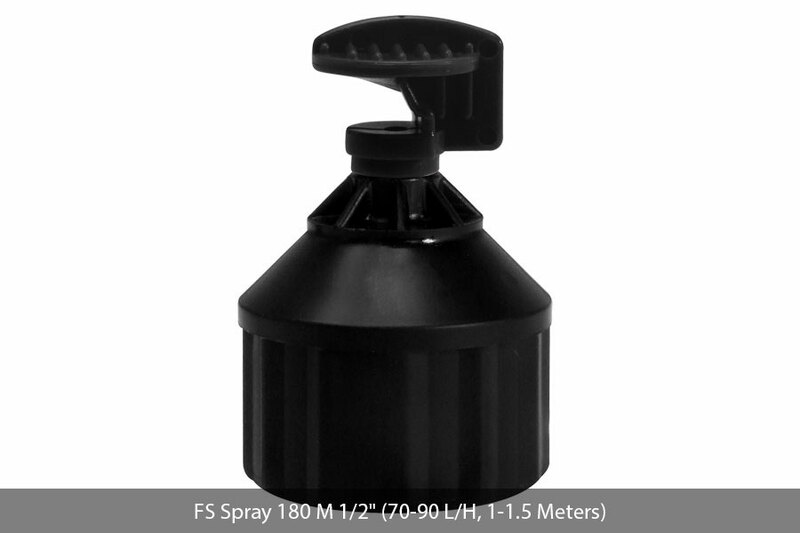 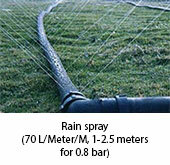 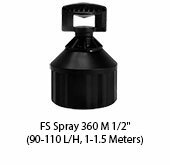 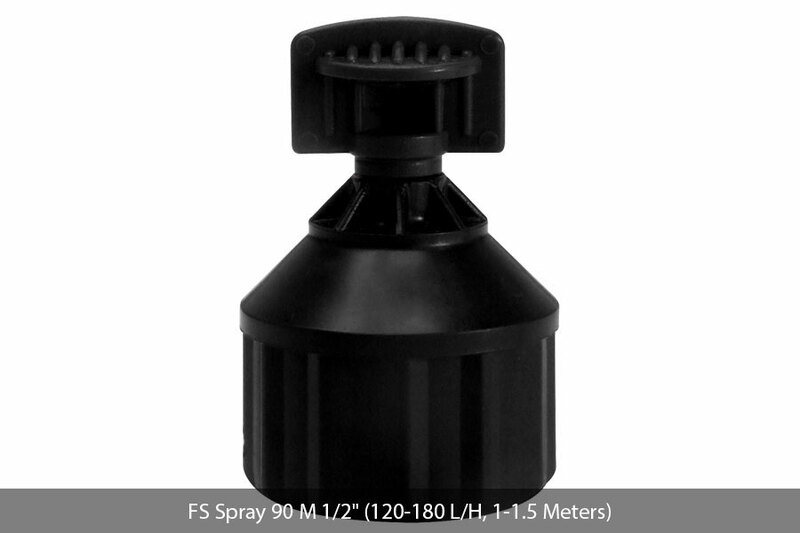 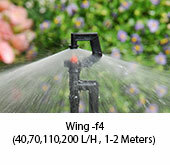 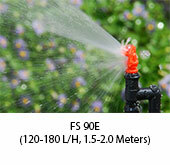 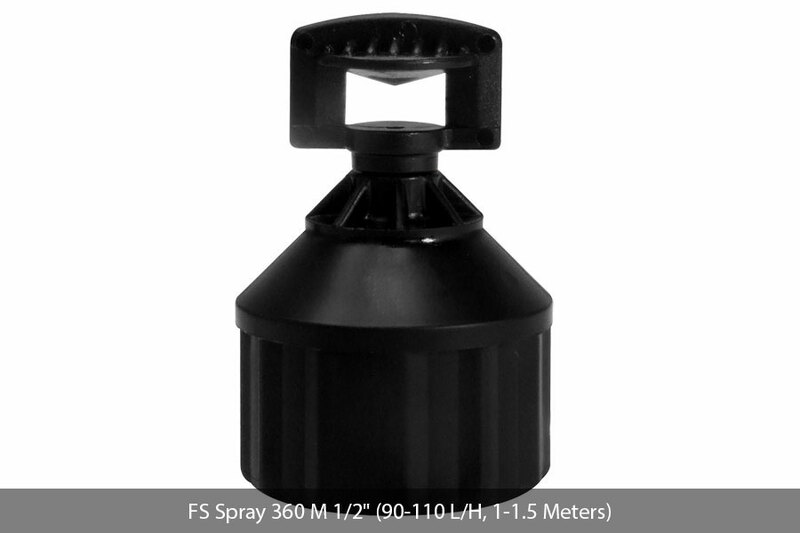 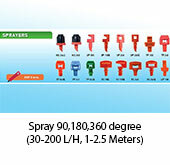 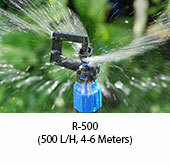 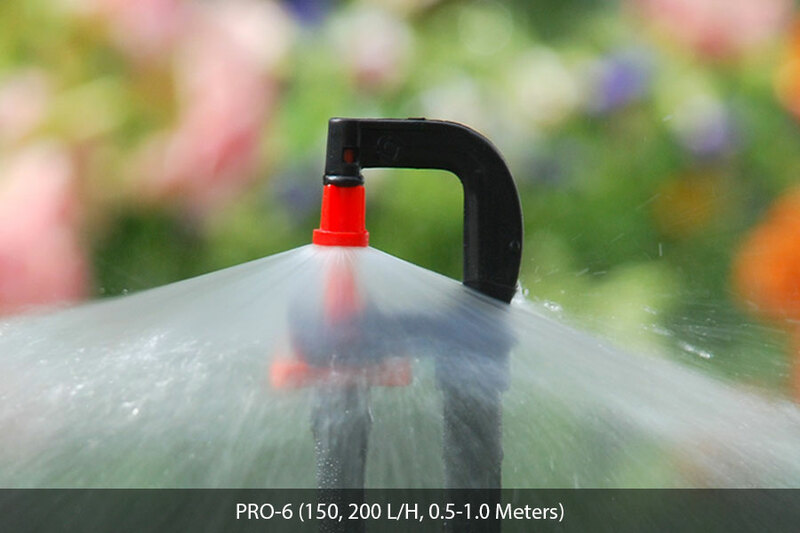 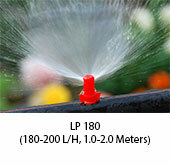 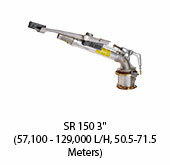 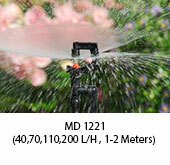 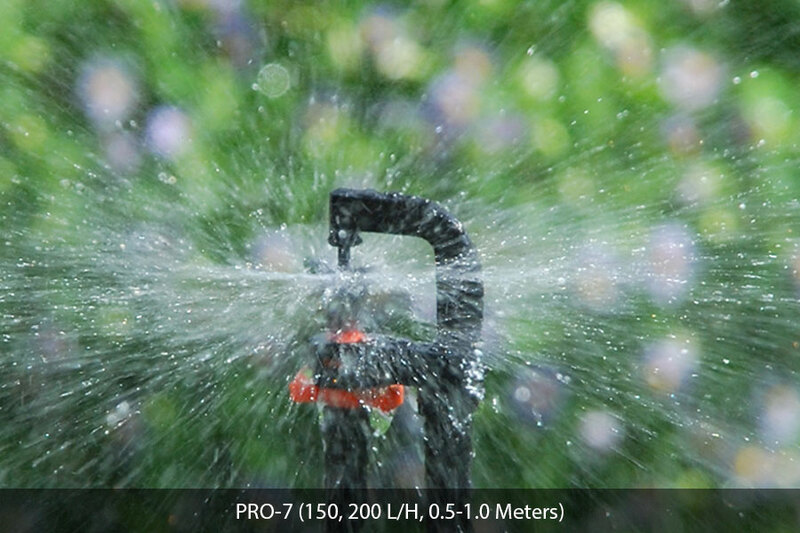 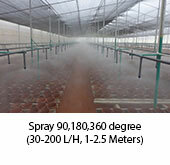 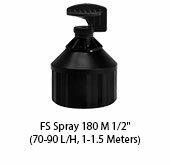 A fine spray of water is emitted using high pressure from small spray heads. 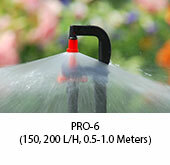 Ideal for border plants in gardens, poly-tunnels and especially larger crops grown in sandy soil. 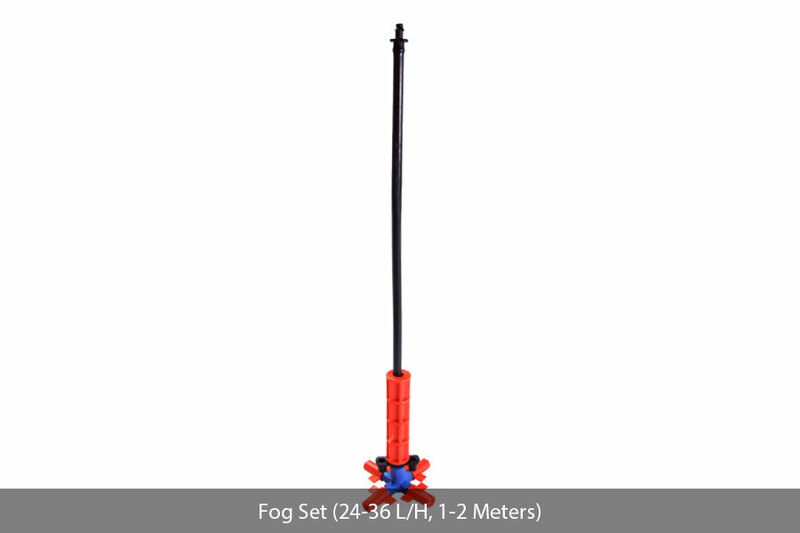 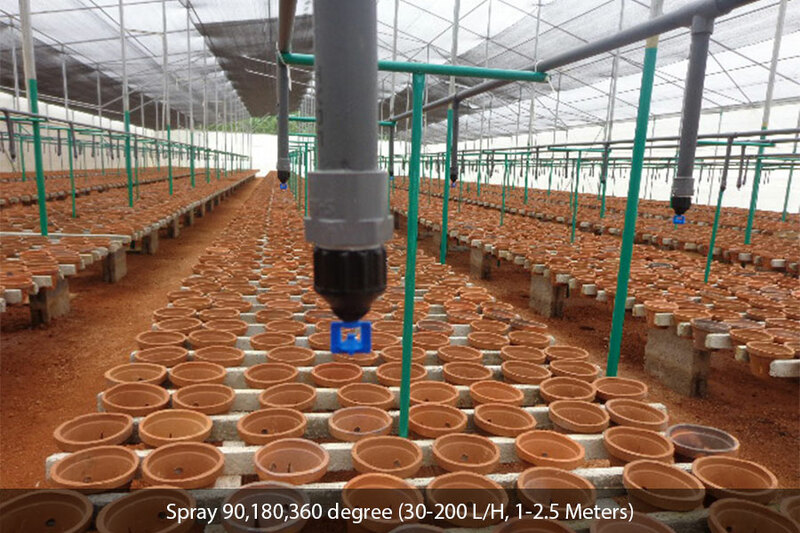 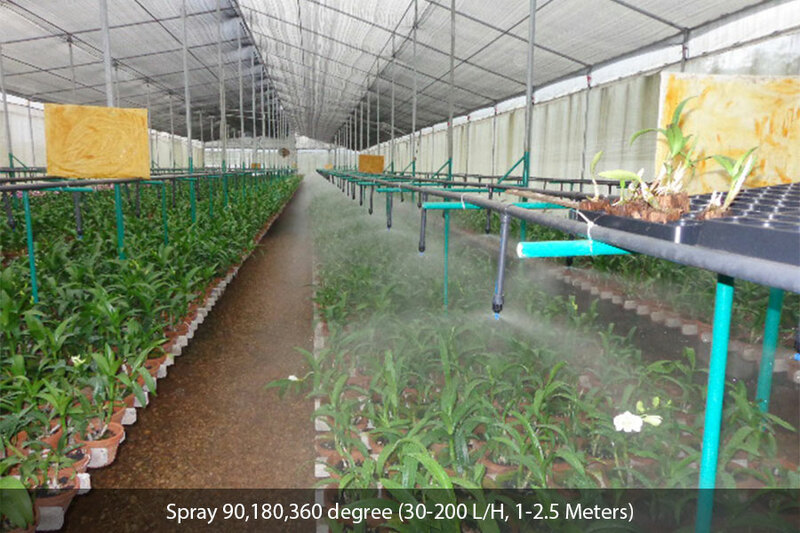 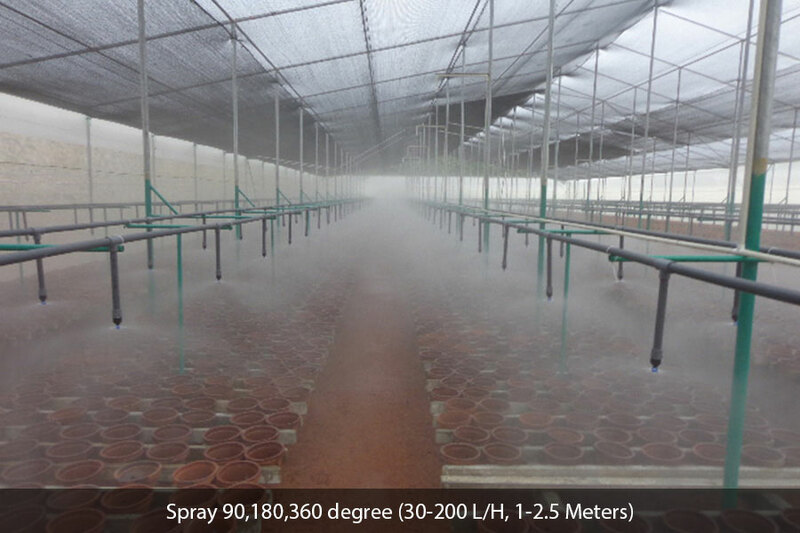 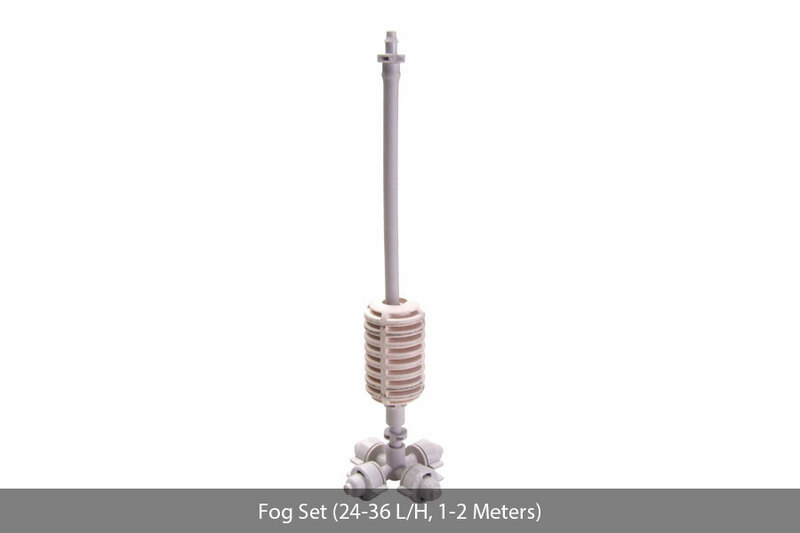 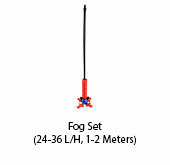 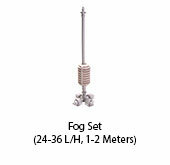 Fog Systems require high pressure application and are popularly used for orchid and mushroom cultivations and also for cooling systems on roofs, in farms and even indoors where plants and vegetable needs to be kept fresh throughout the day. 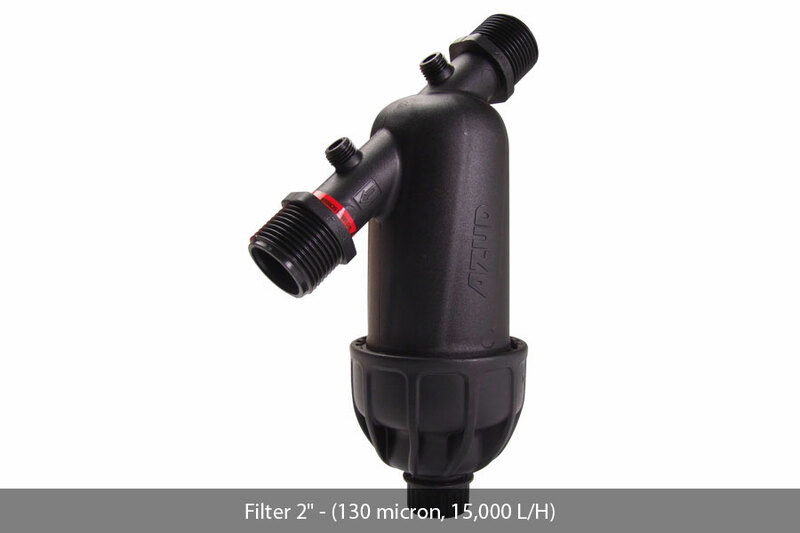 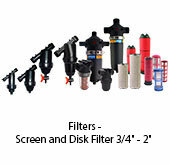 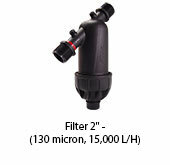 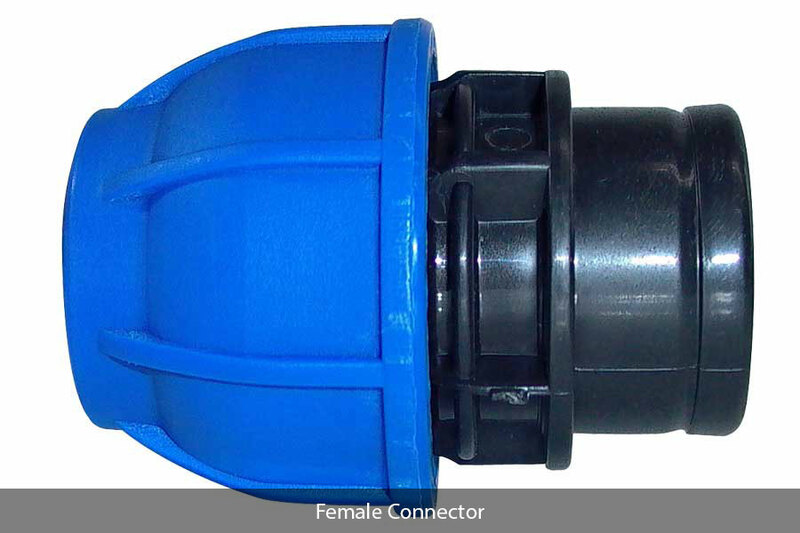 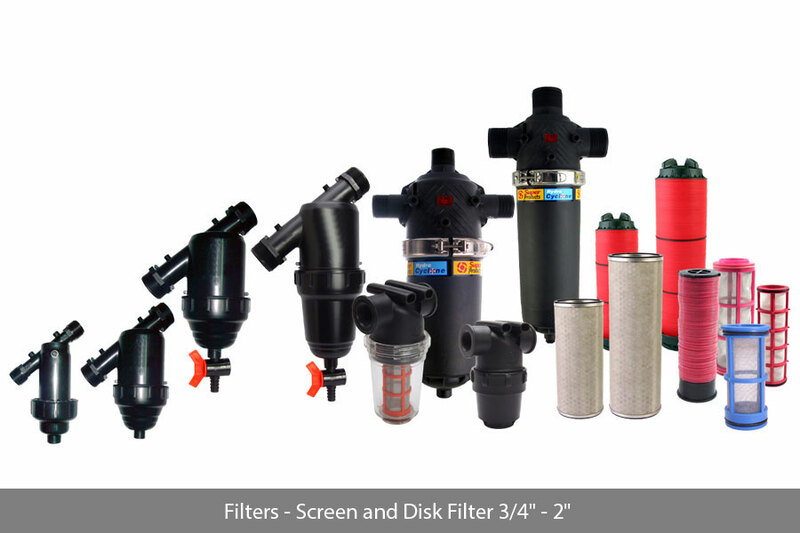 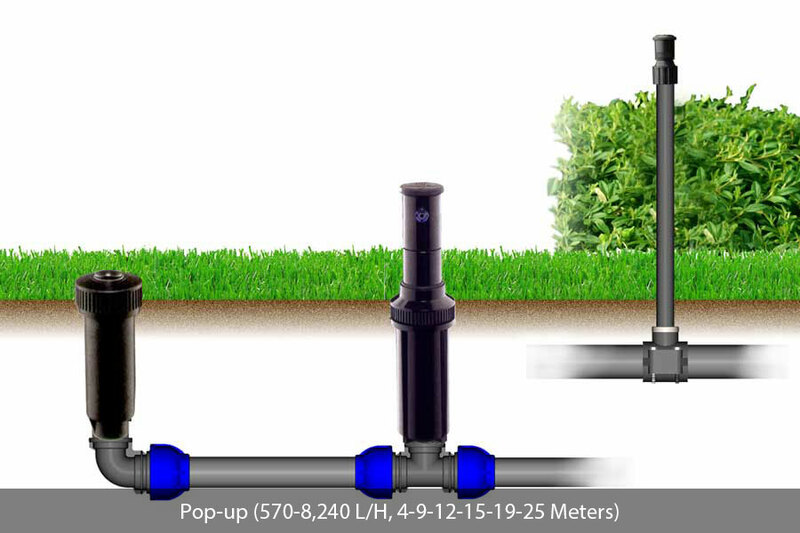 Our filters are designed to keep irrigation systems free of the contaminants that degrade performance and efficiency, whether the system utilizes pop ups, drippers or sprayers. 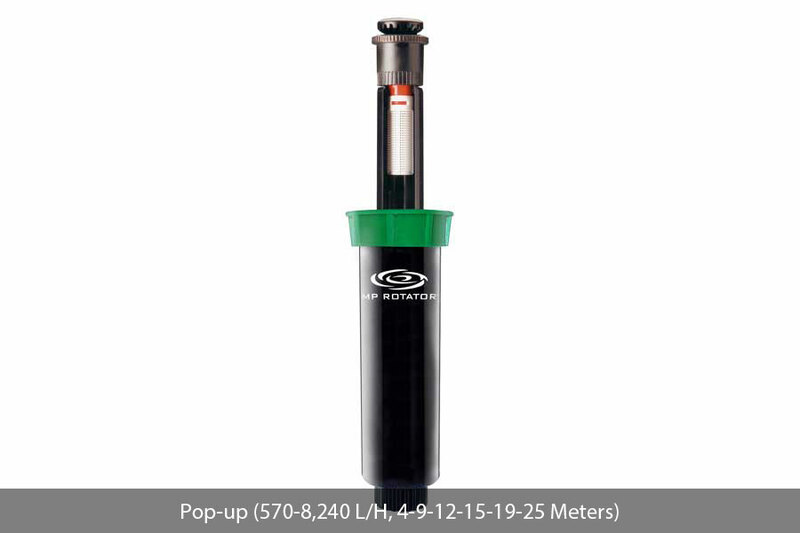 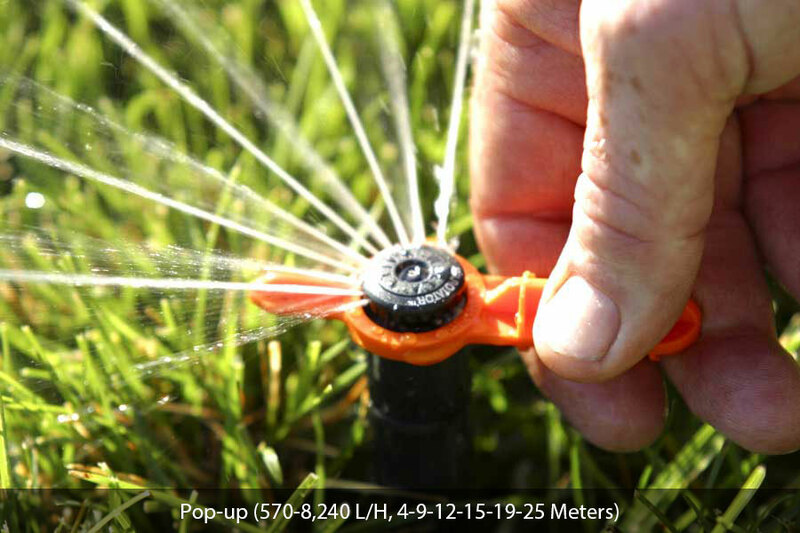 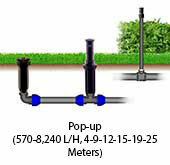 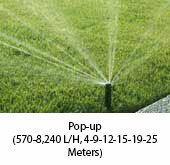 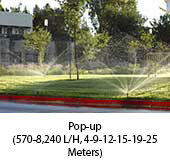 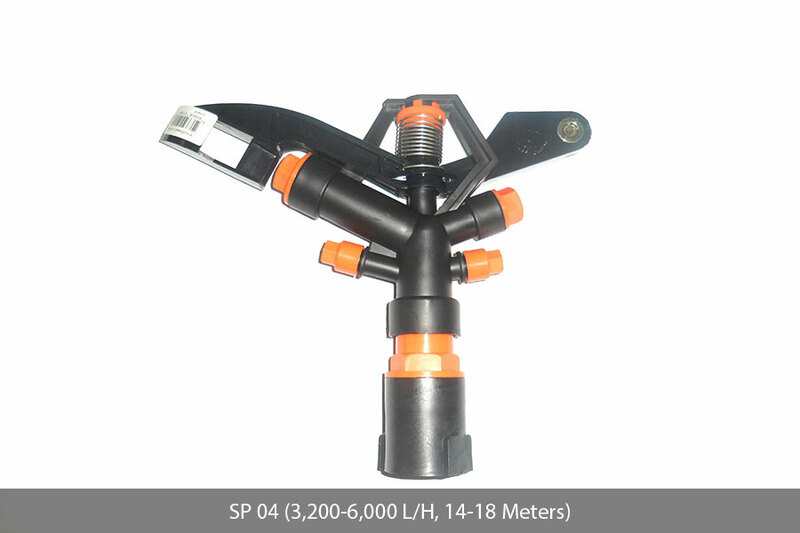 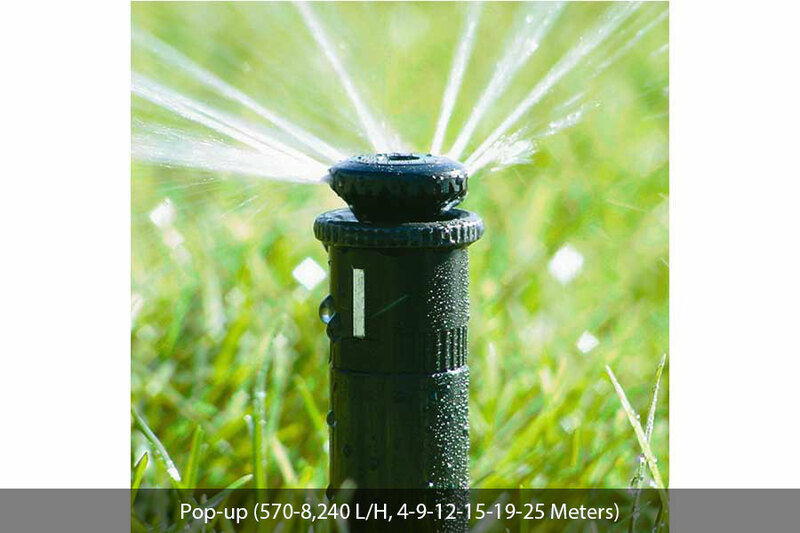 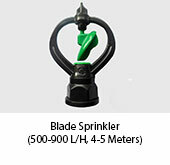 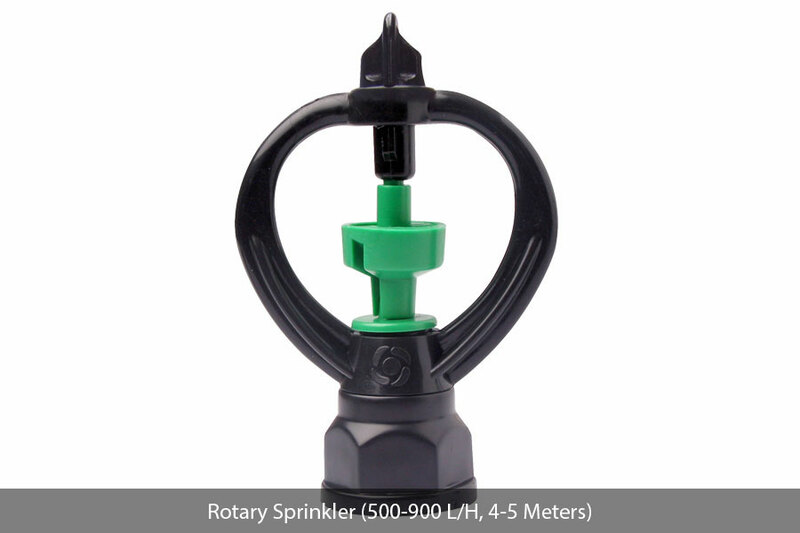 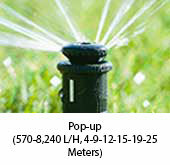 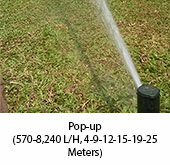 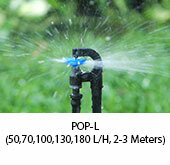 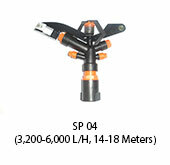 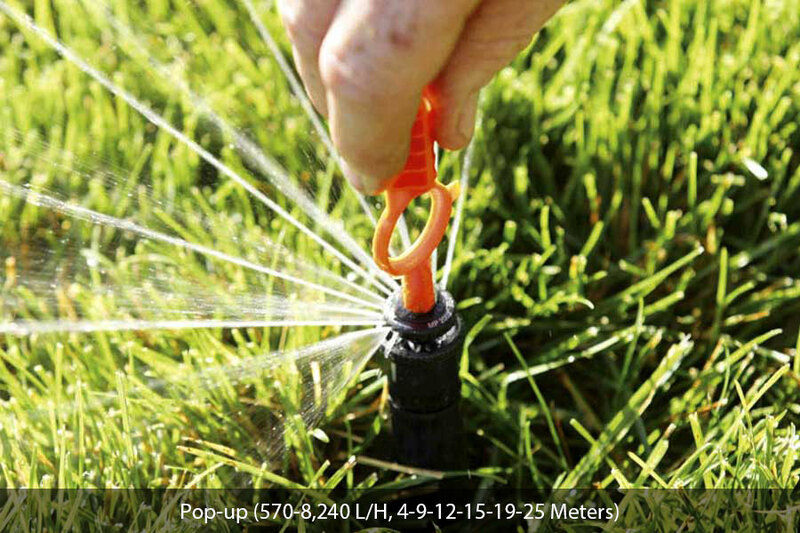 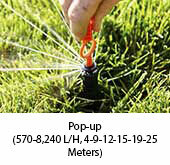 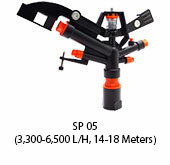 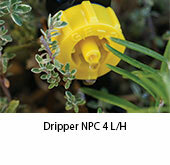 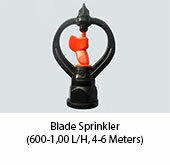 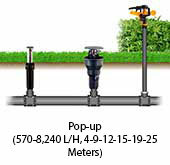 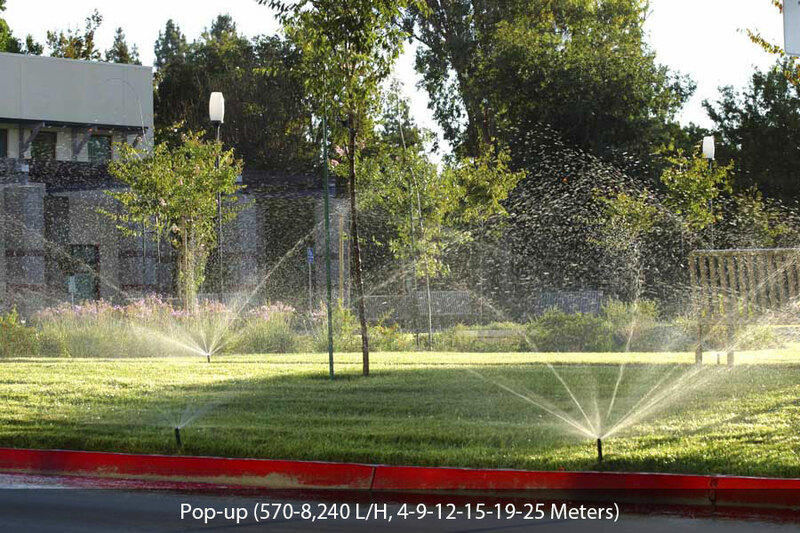 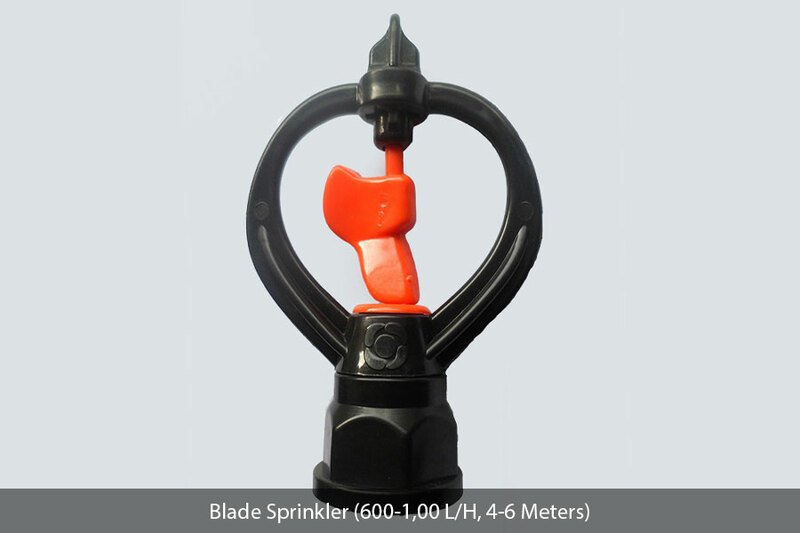 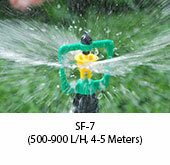 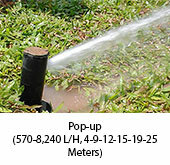 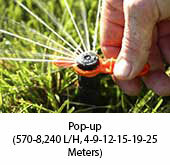 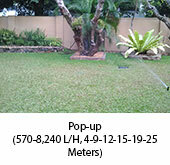 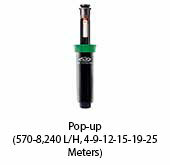 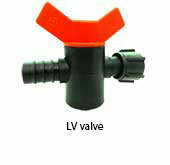 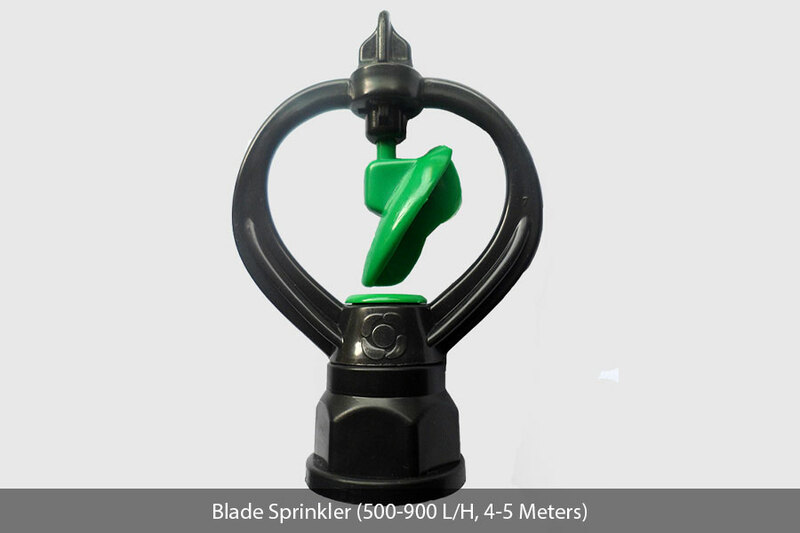 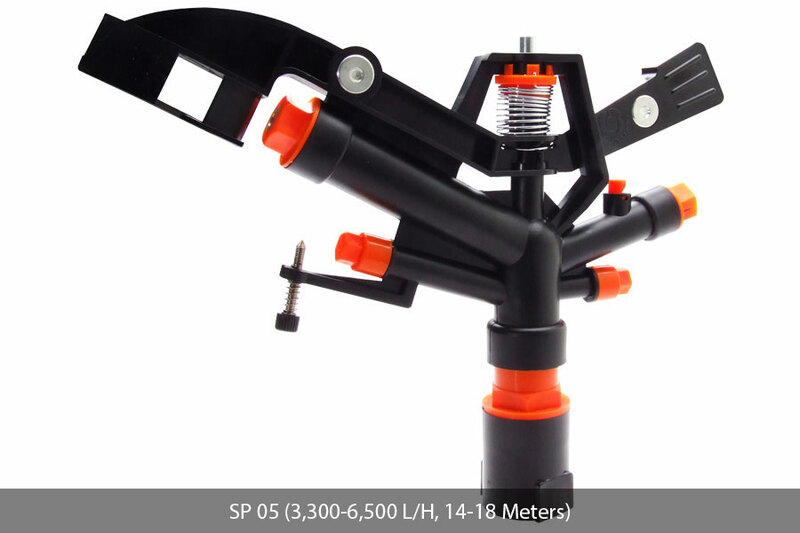 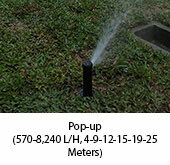 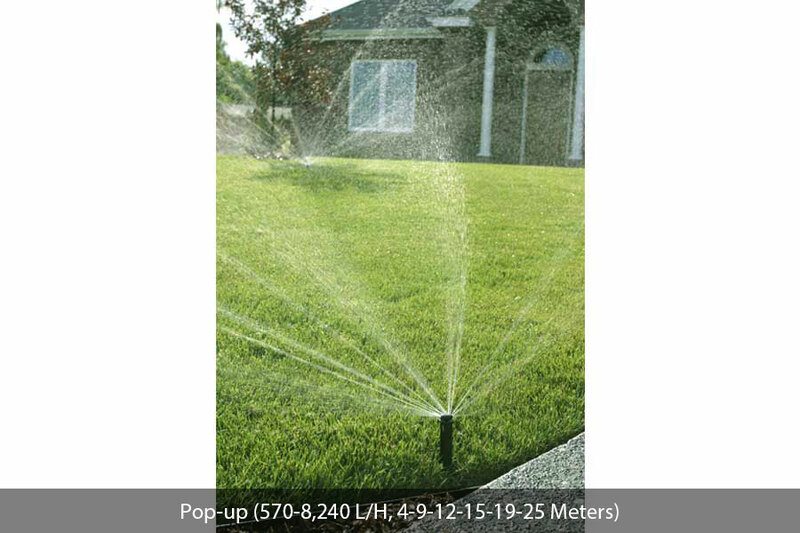 The pop-up sprinkler heads are ideal for lawns, play grounds etc. 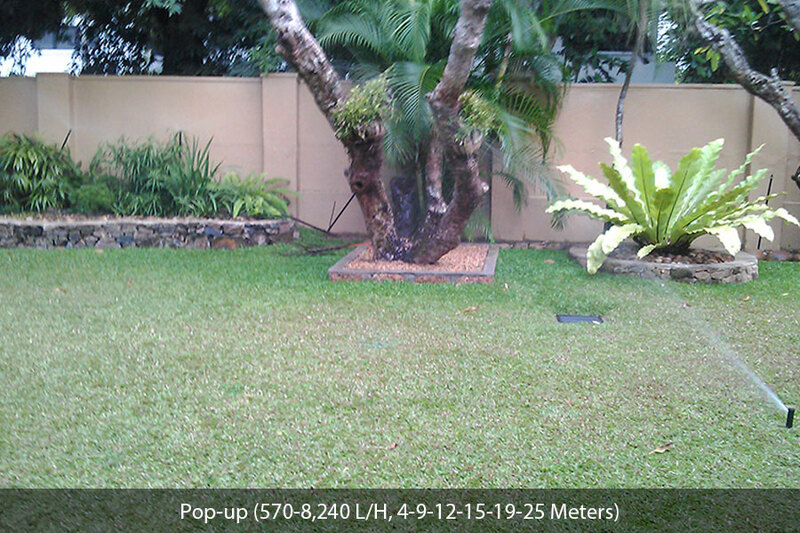 where the surfaces of the ground has to be void of obstacles. 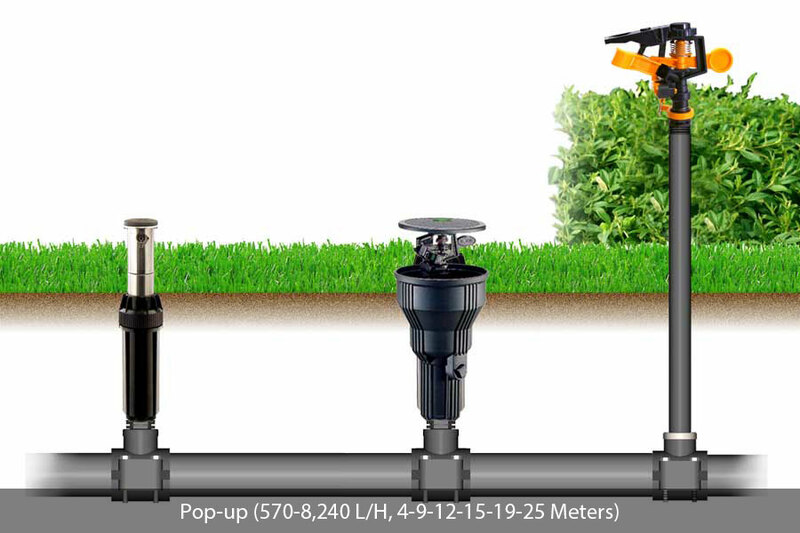 The full system is buried underground and the nozzles pop up for the water pressure supplied, only at the time of application. 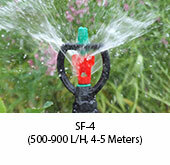 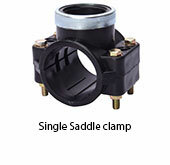 We offer a range of heads for various types of grounds. 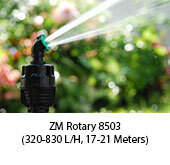 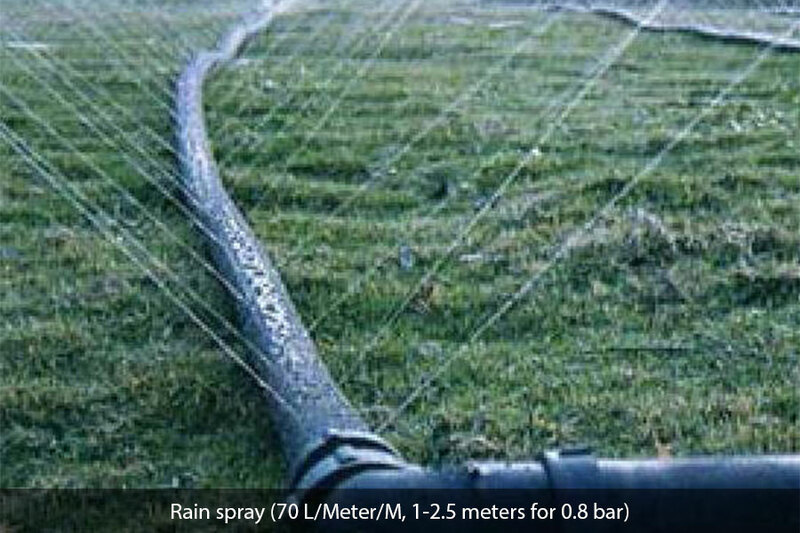 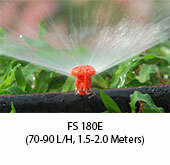 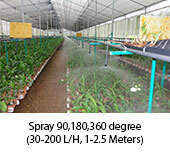 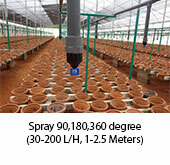 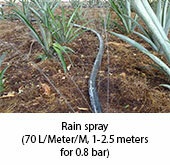 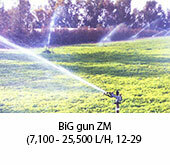 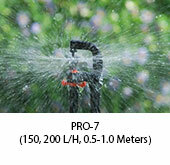 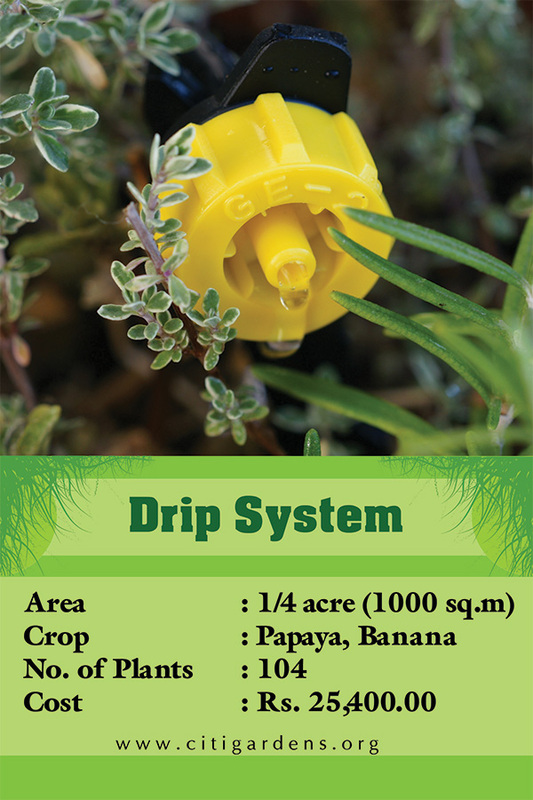 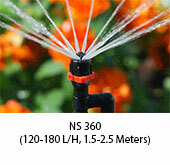 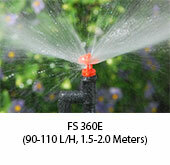 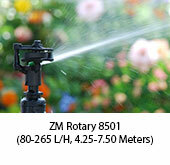 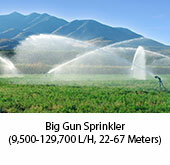 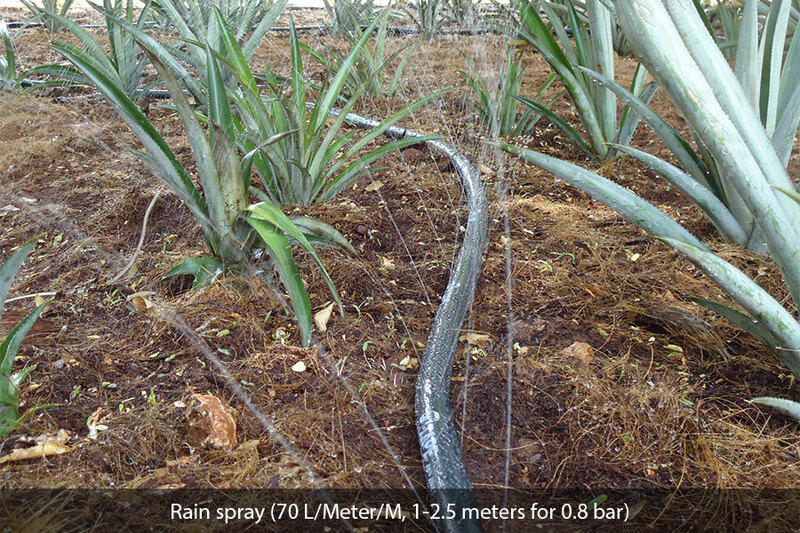 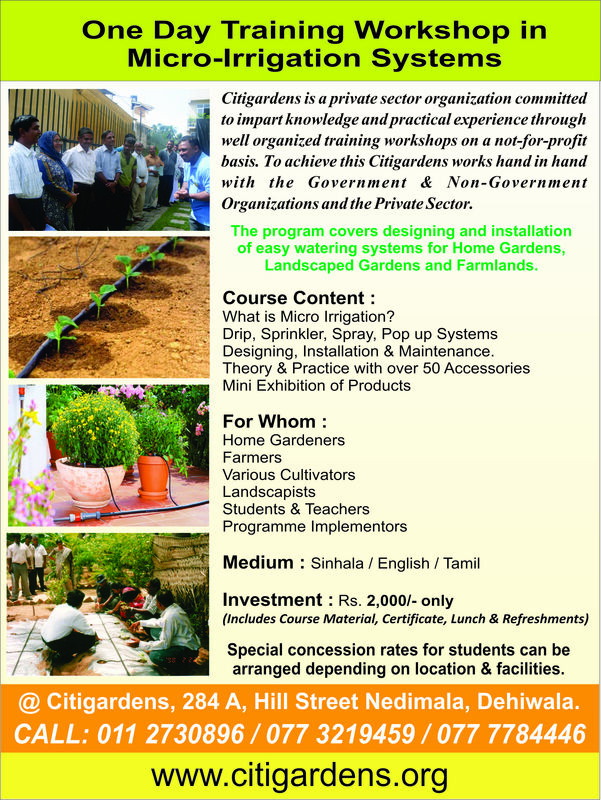 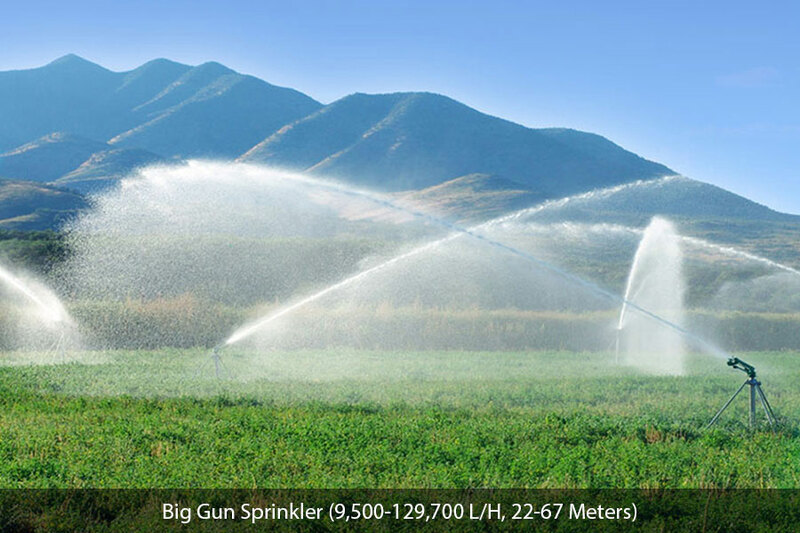 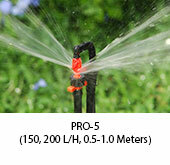 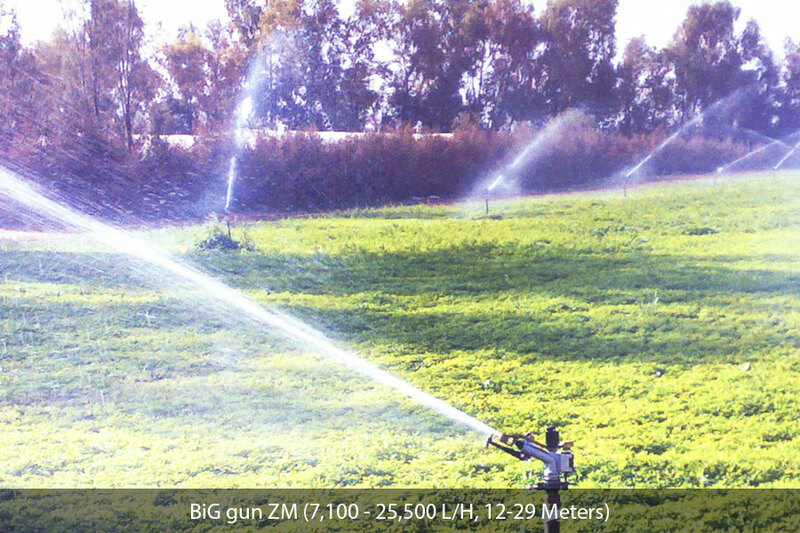 A wide range of complementary Products used for the successful implementation of an irrigation system are available. 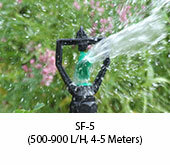 Ideal for those extra busy garden lovers! 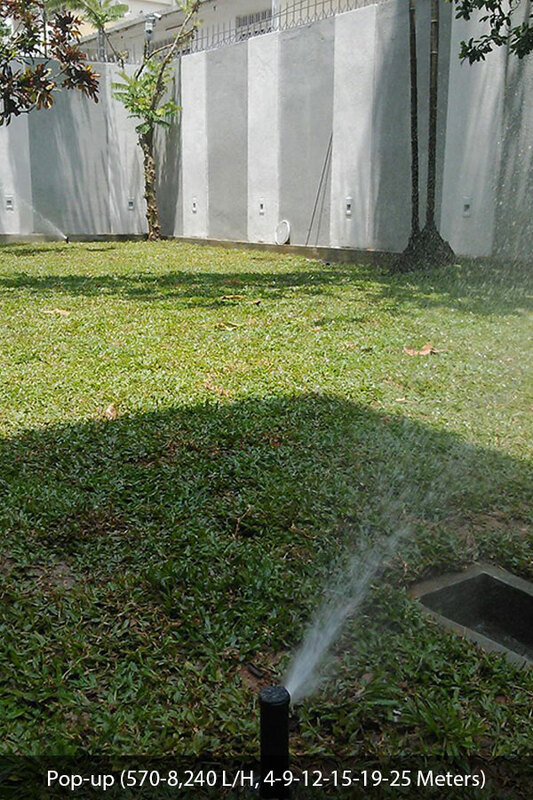 Leave it to Citigardens to water your entire gardens with the minimum fuss even when you are not at the premises for a long period. 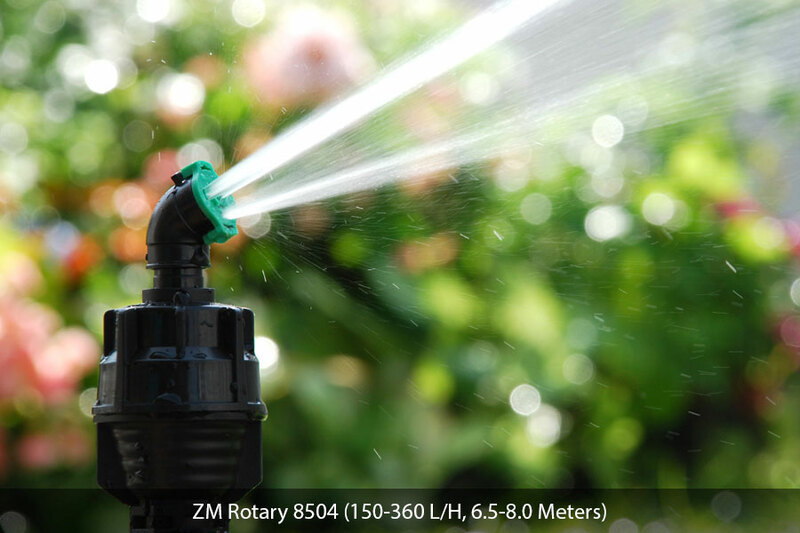 Electronic Automated Timers can be included in our Micro Irrigation Systems and prescheduled for timely watering to ensure your garden or crops never dry out. 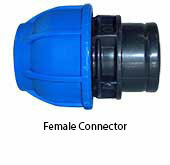 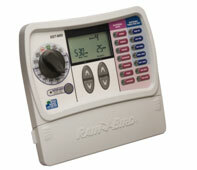 Timers are also suitable for Poly tunnels and larger farms where watering consumes a lot of valuable time and labor. 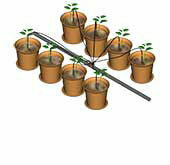 Thus, saving you a considerable amount of money and allowing you to focus on more important aspects of your cultivation. 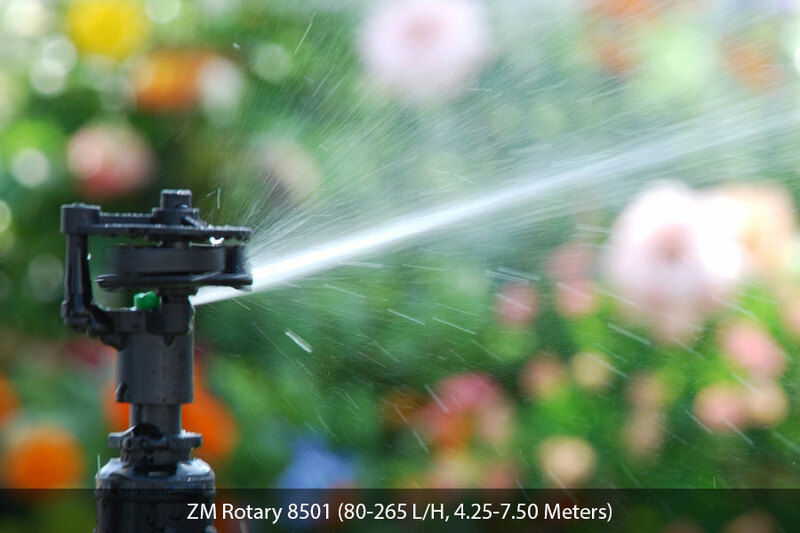 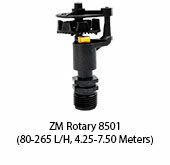 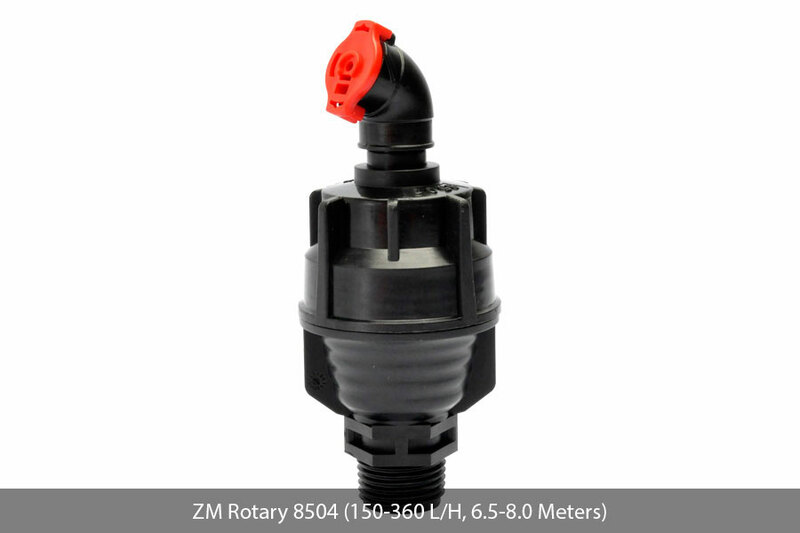 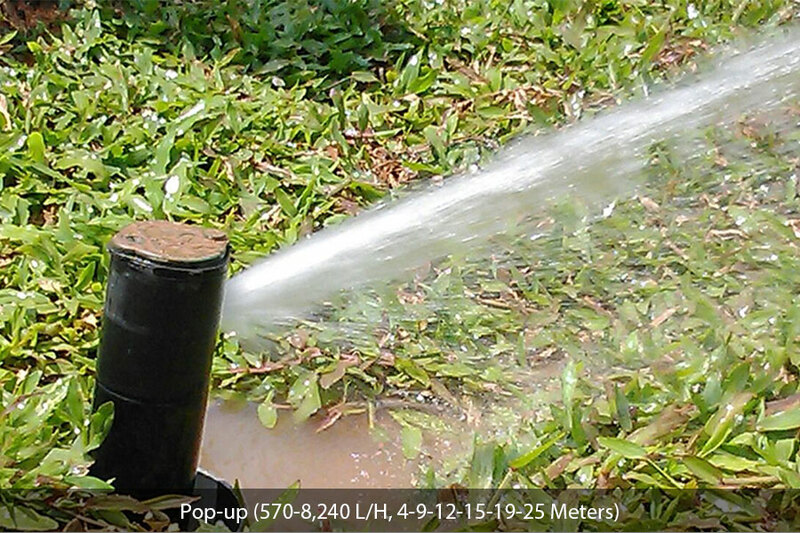 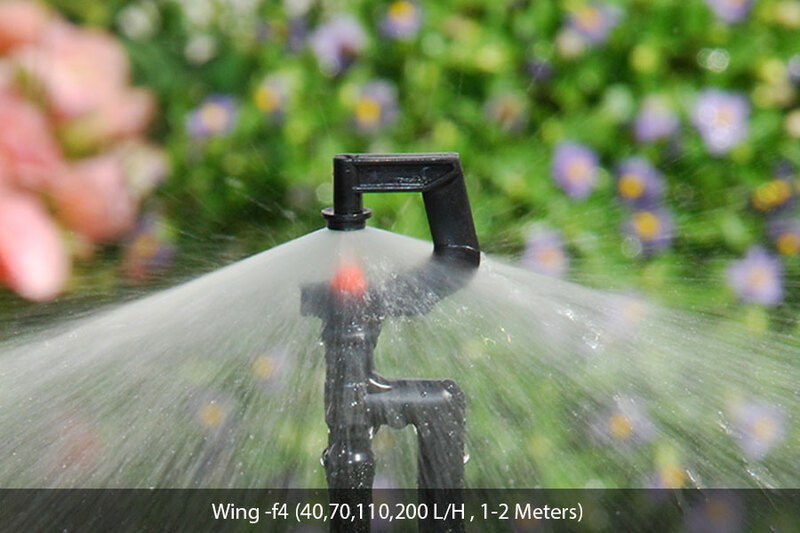 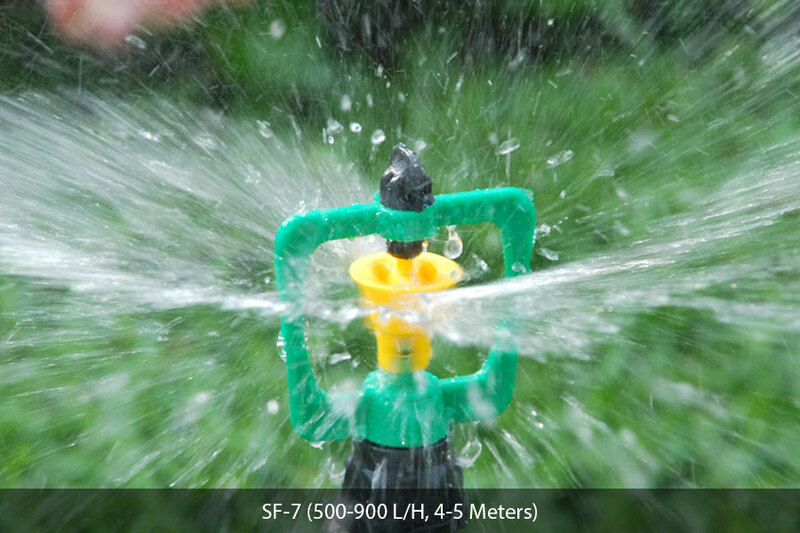 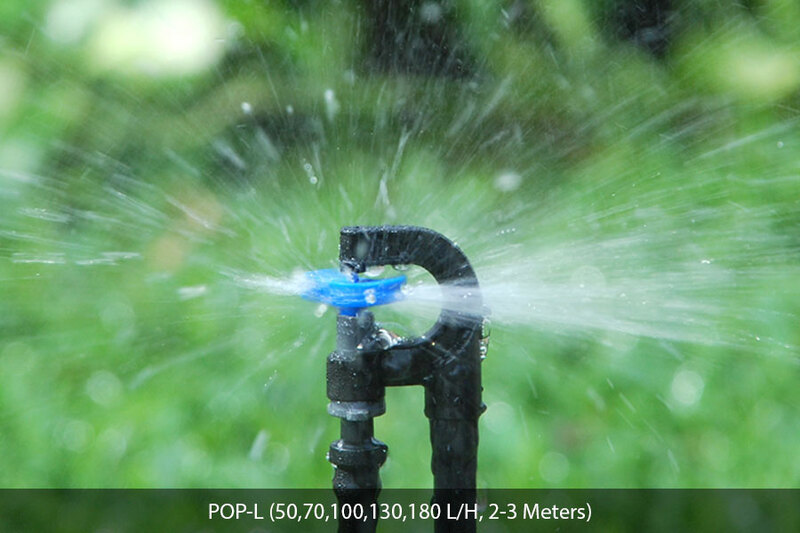 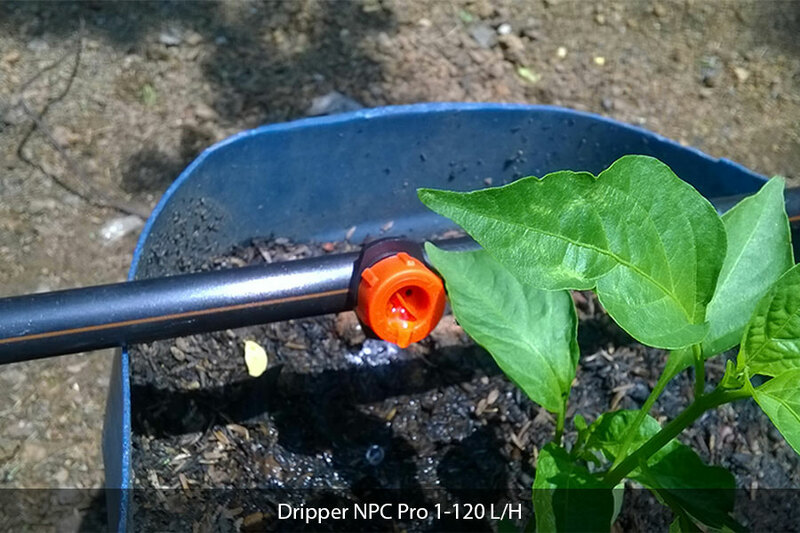 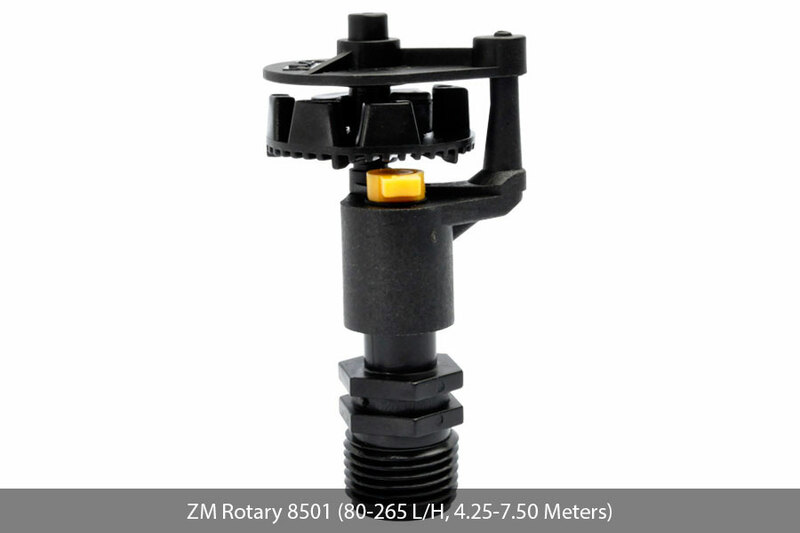 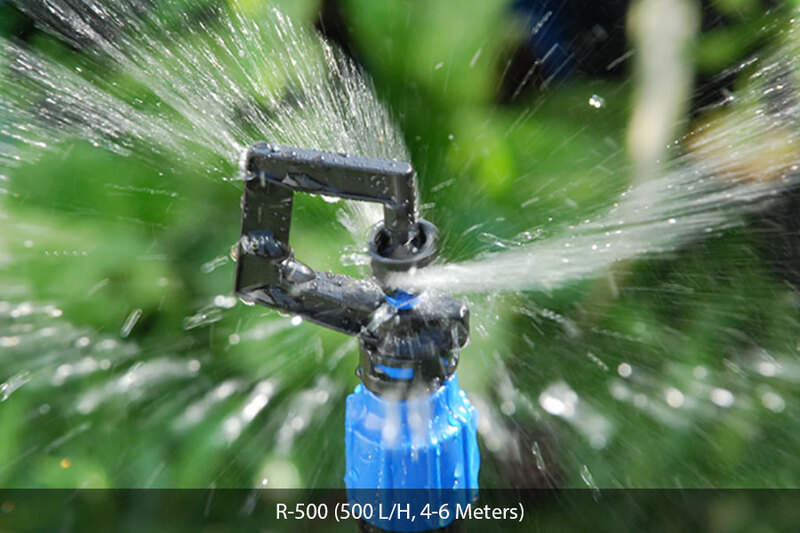 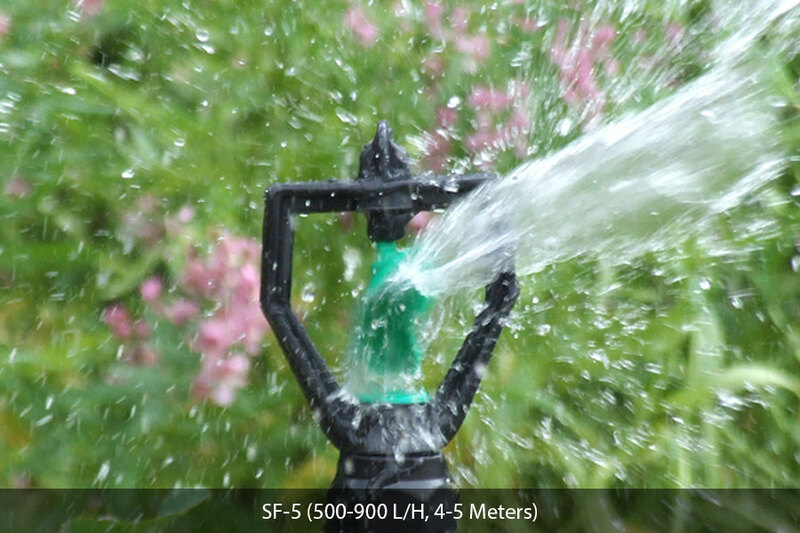 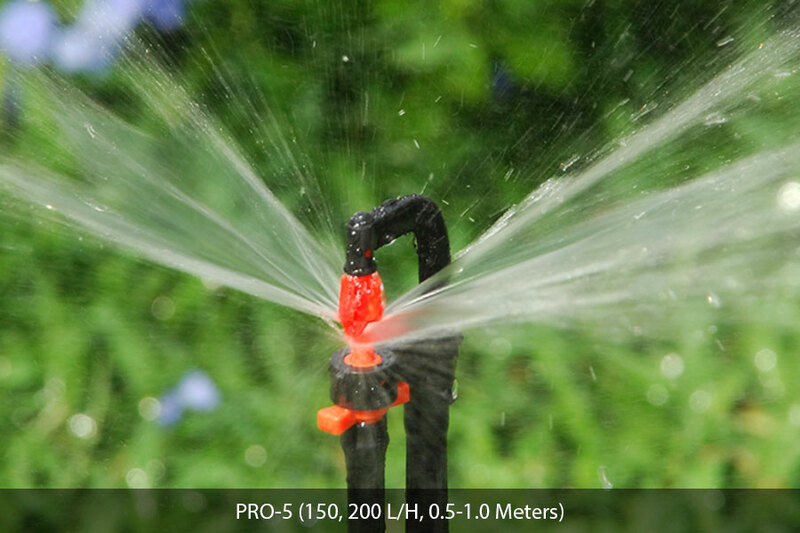 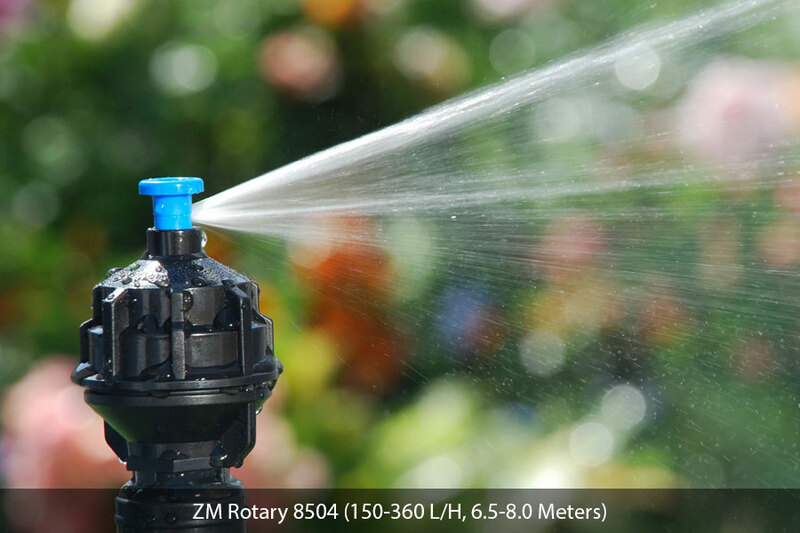 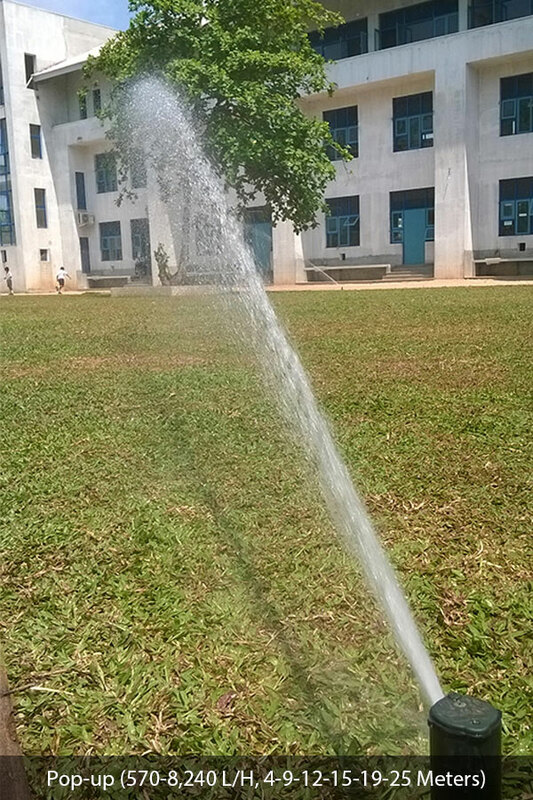 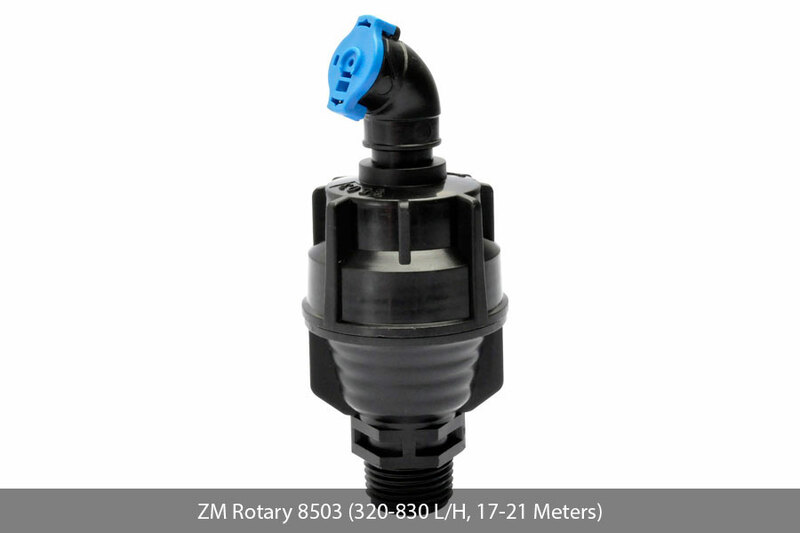 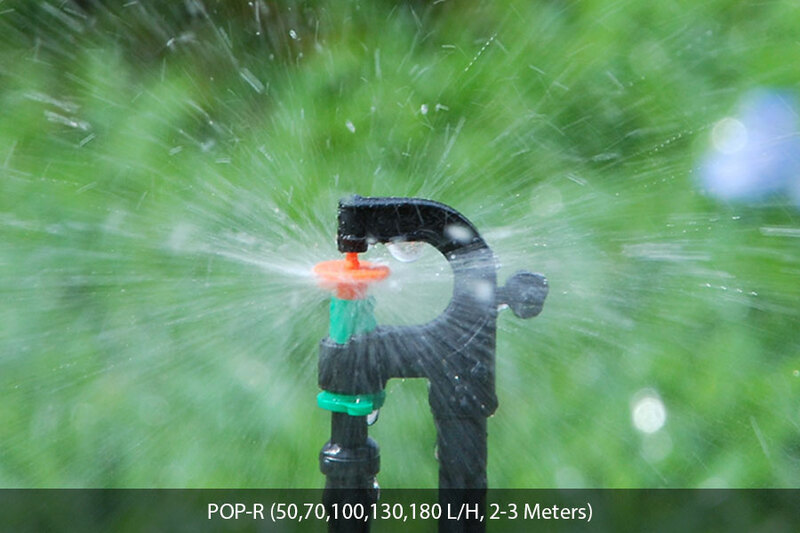 Water pumps are required to work some Micro Irrigation Systems more efficiently as certain nozzles require pressurized water for effective functioning. 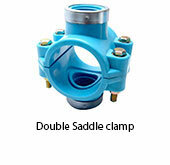 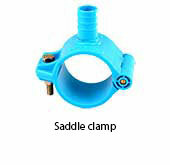 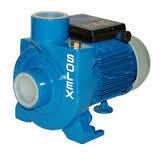 Suitable pumps would be recommended for the system if necessary at the designing. 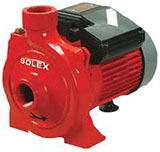 We supply some of the best brands of pumps in the market and it is covered by the supplier warranty.